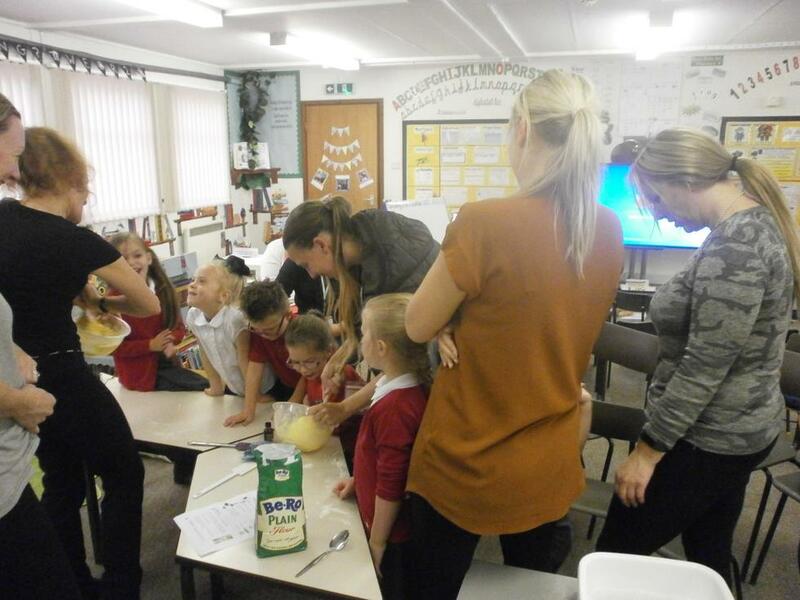 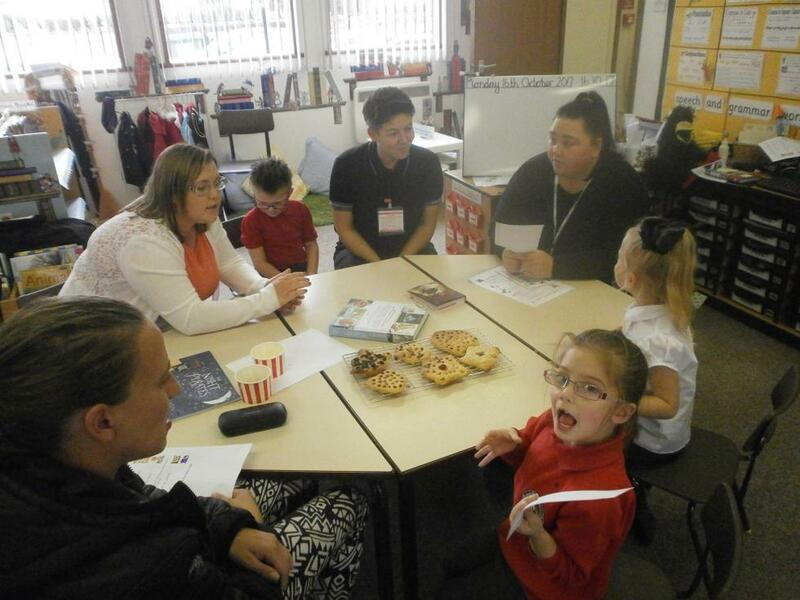 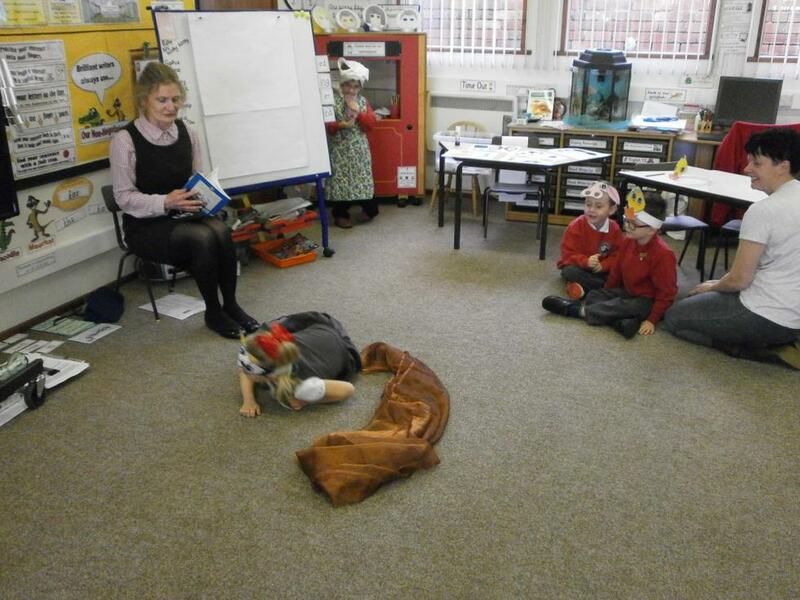 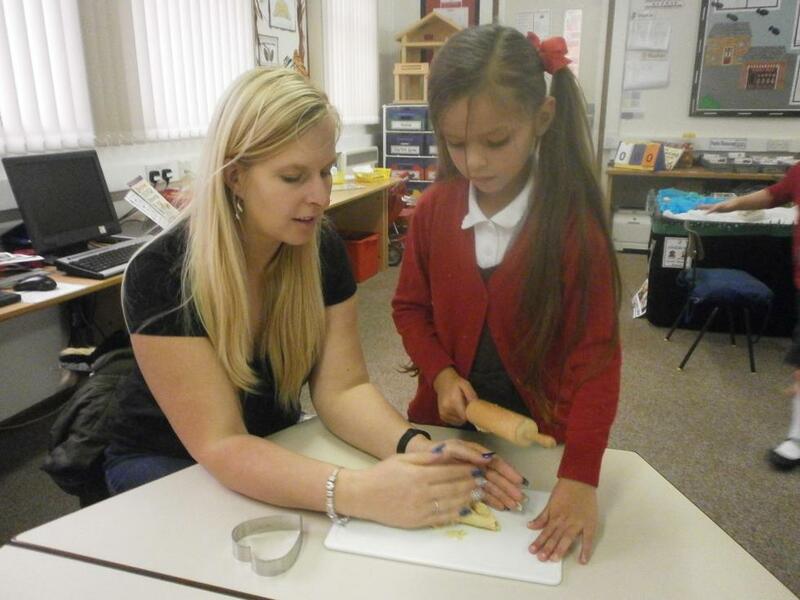 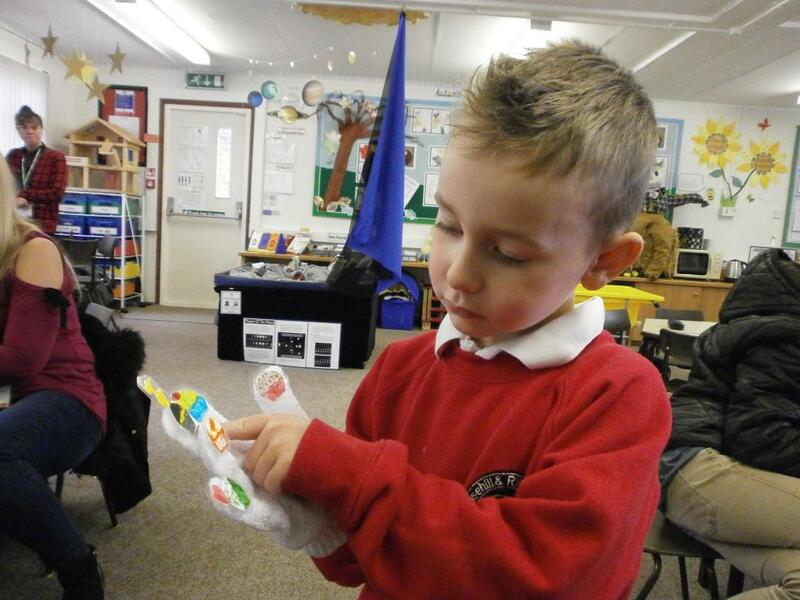 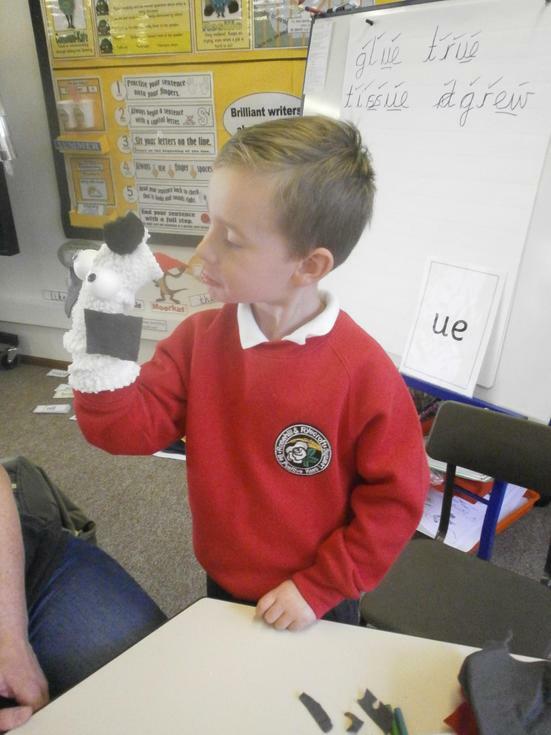 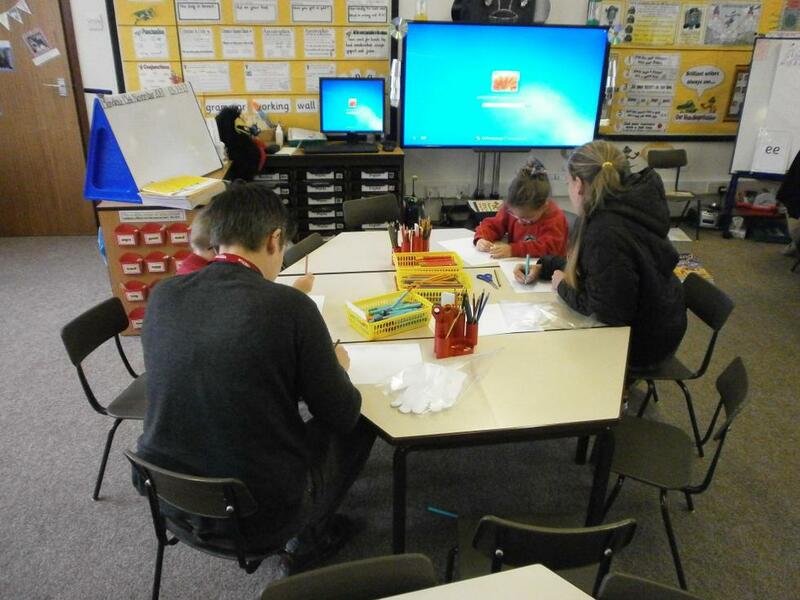 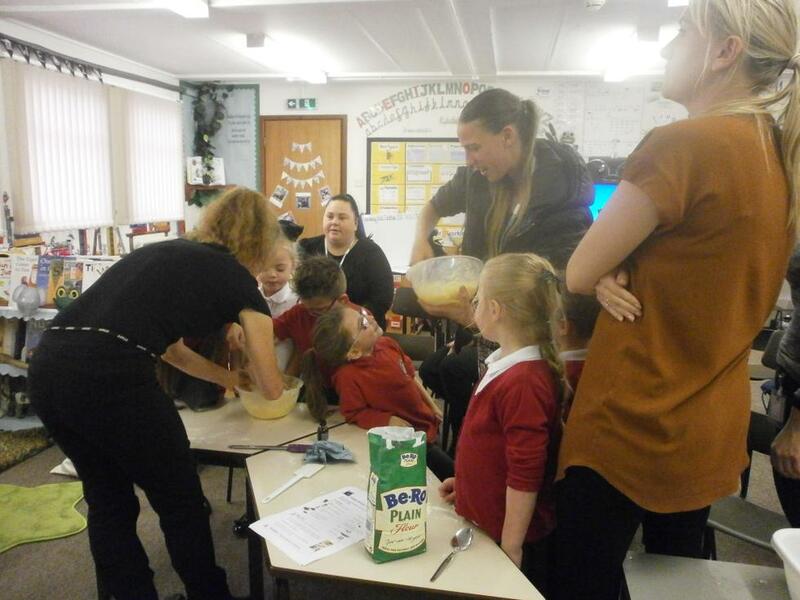 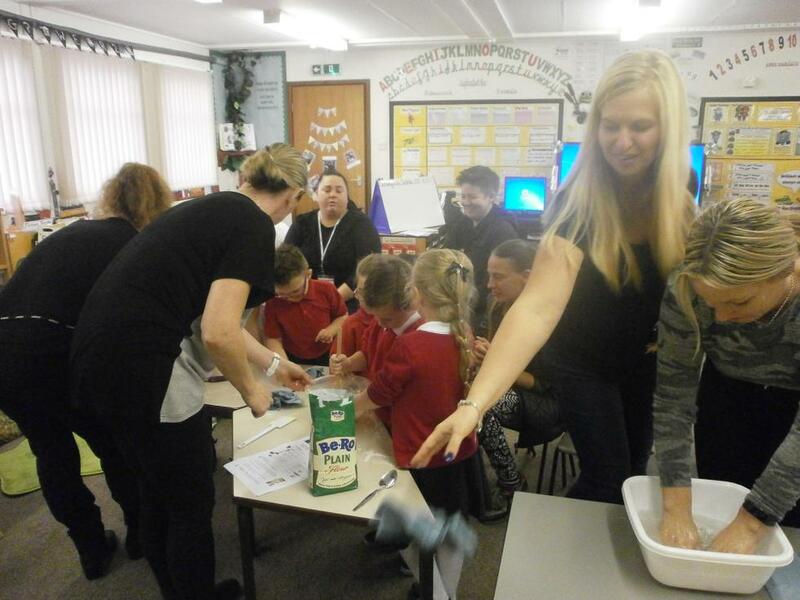 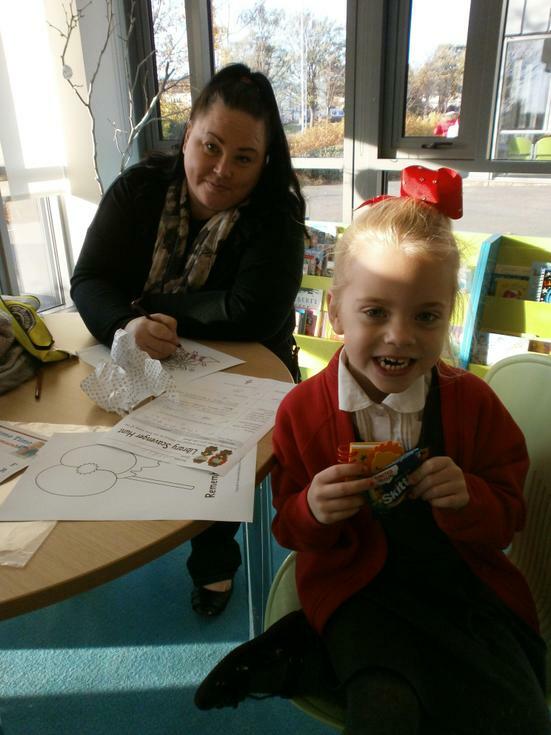 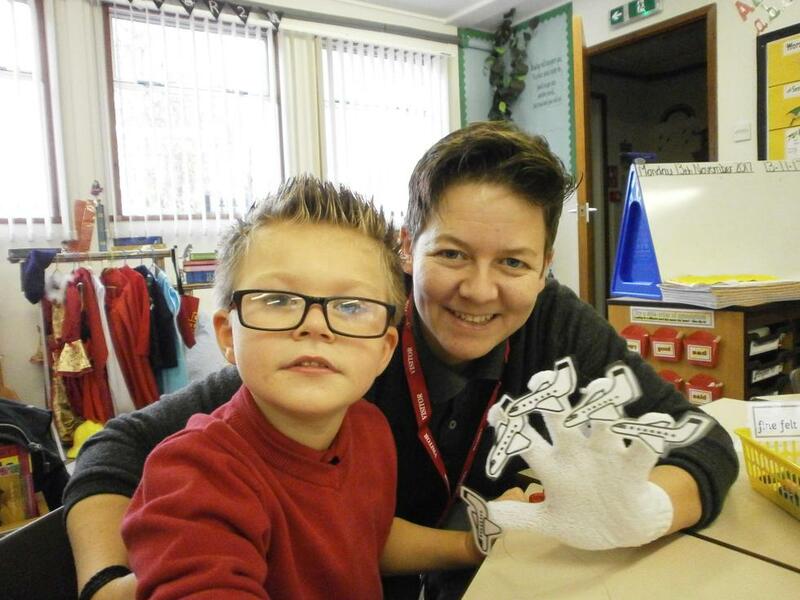 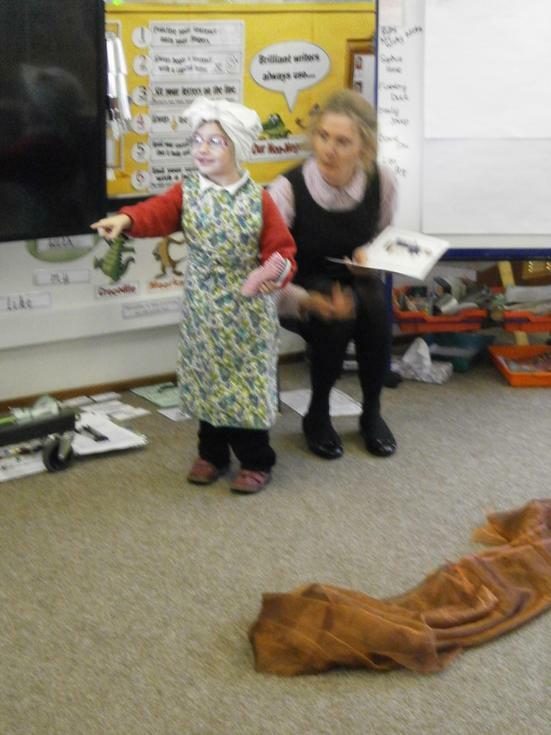 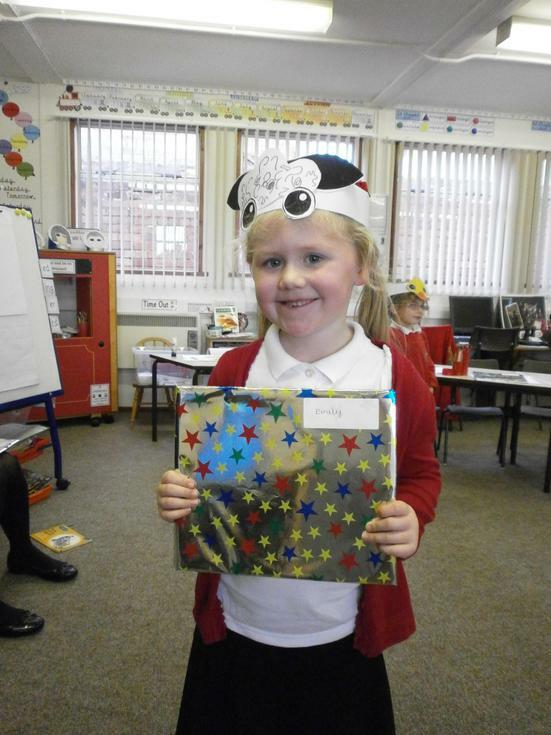 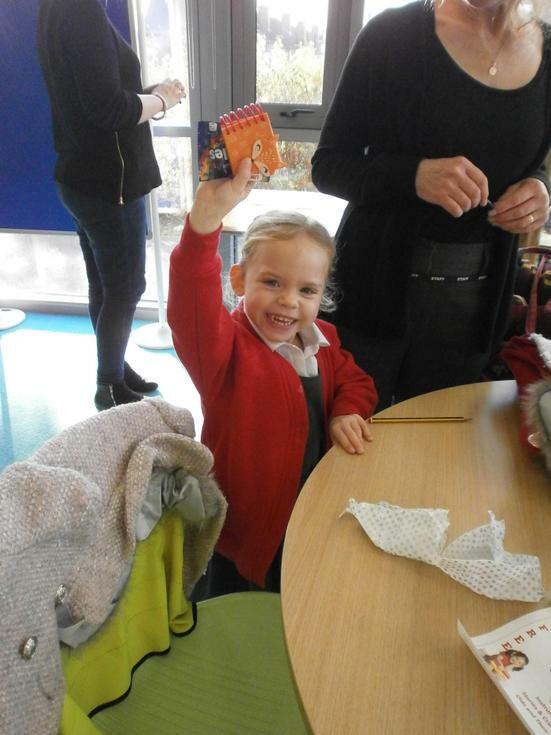 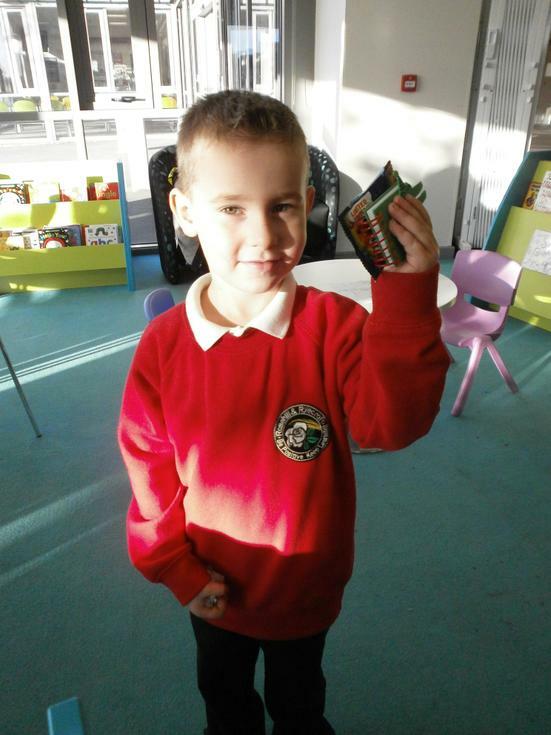 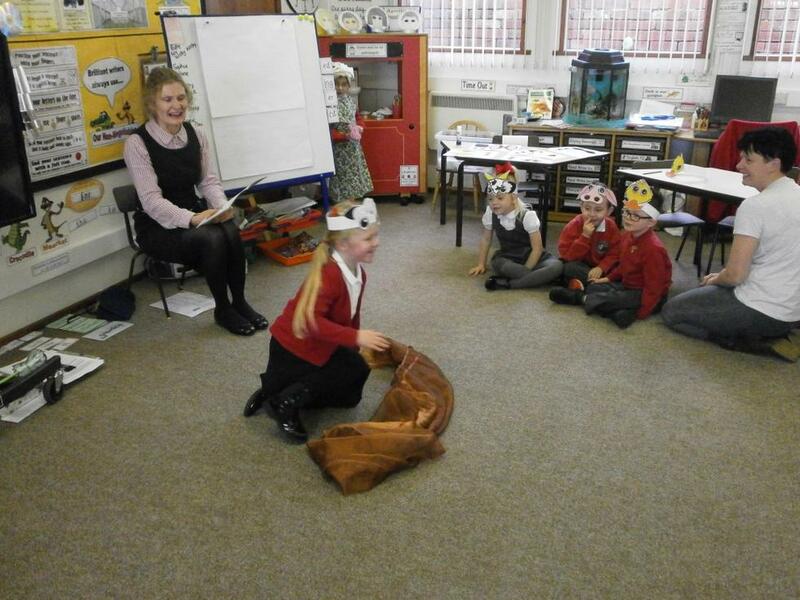 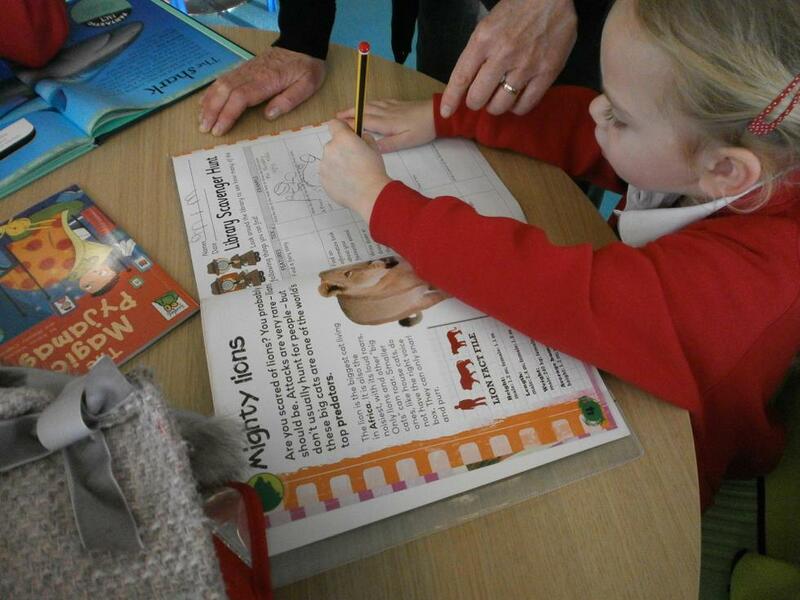 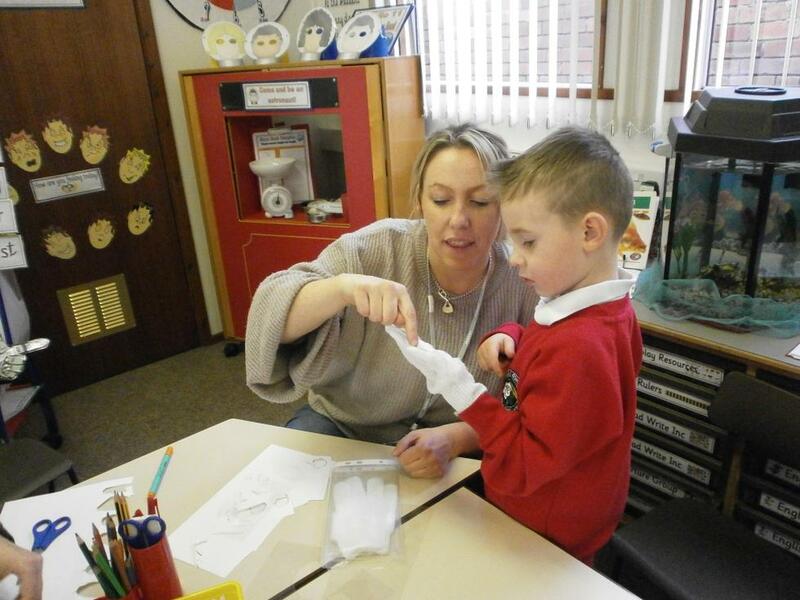 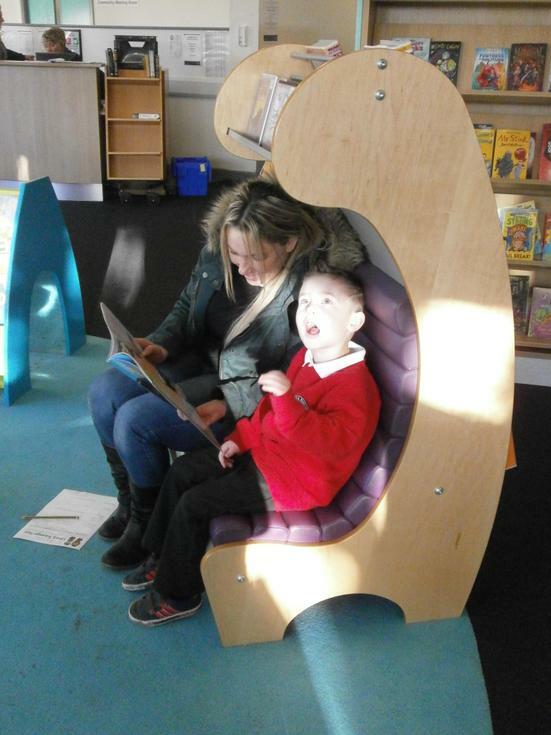 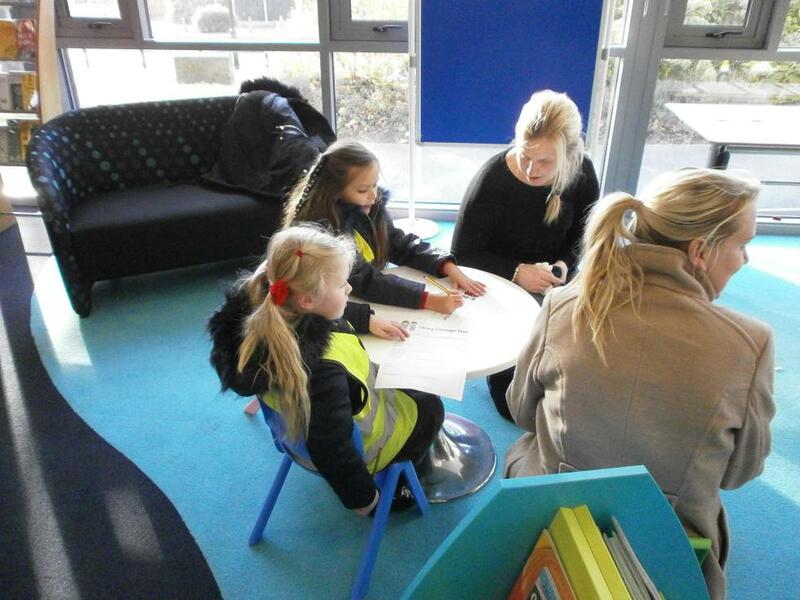 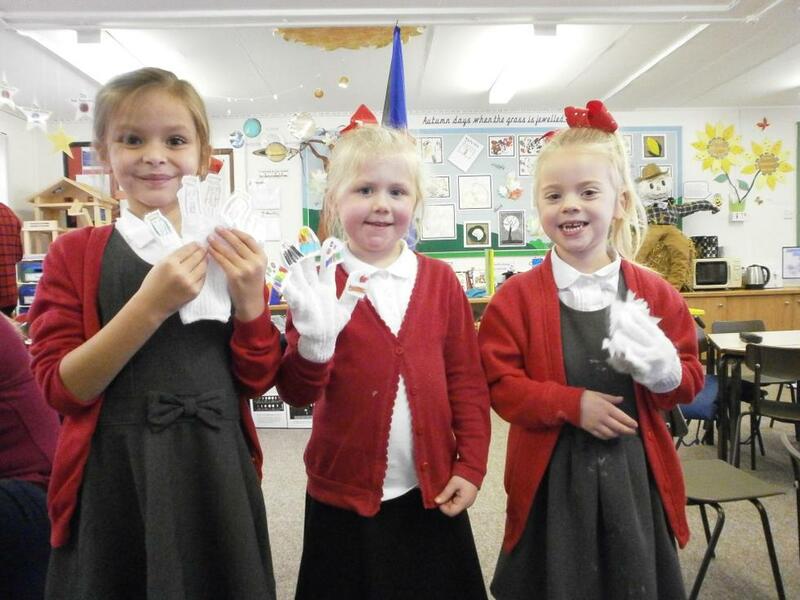 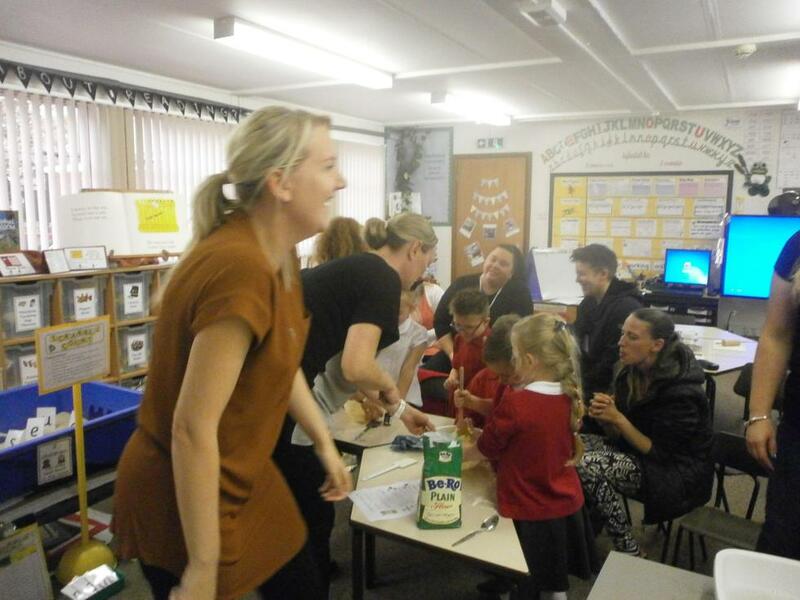 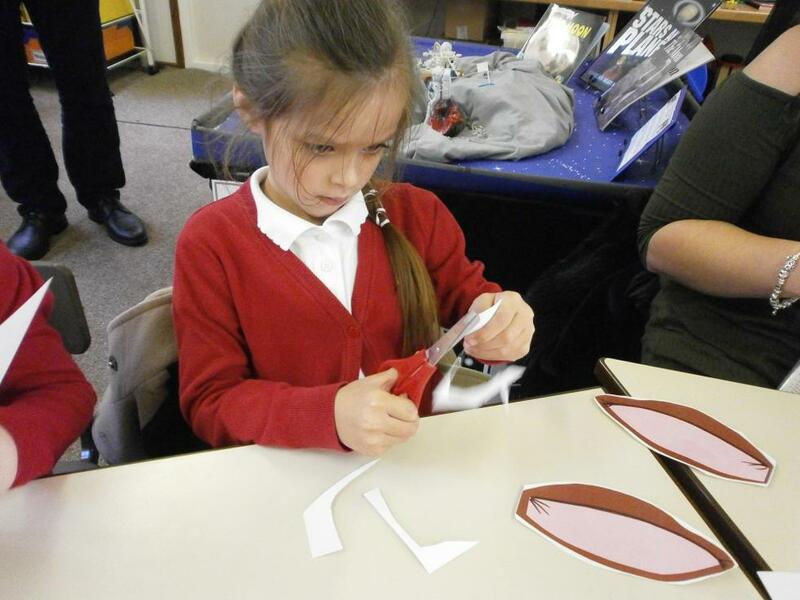 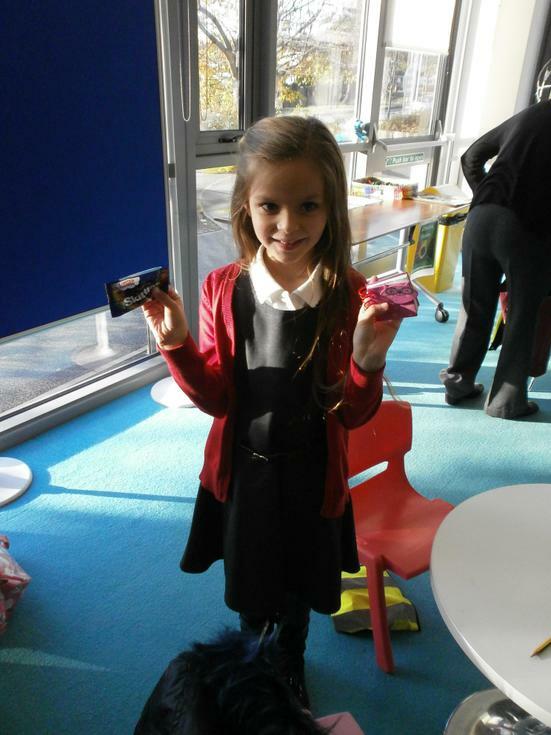 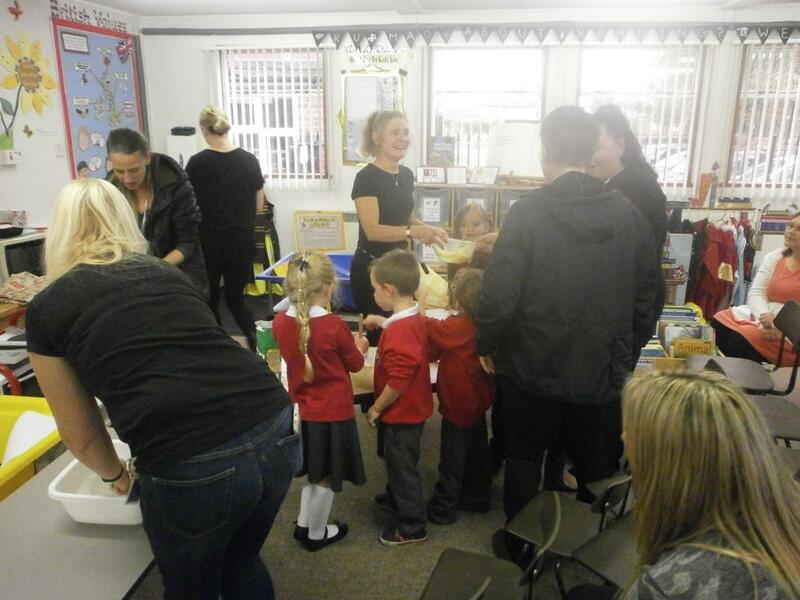 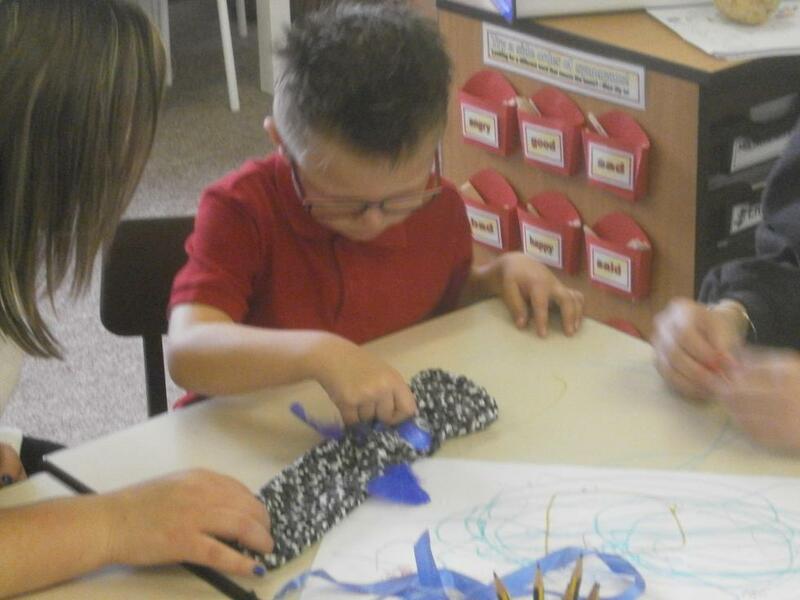 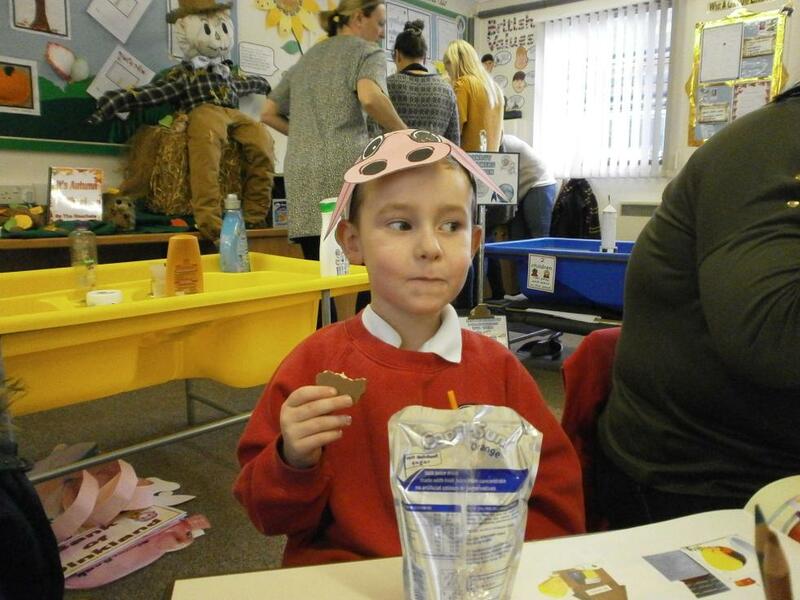 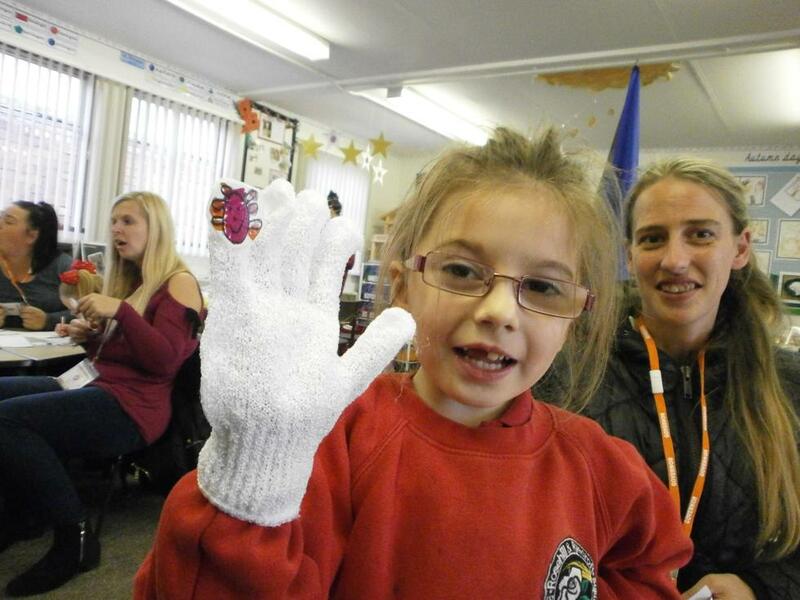 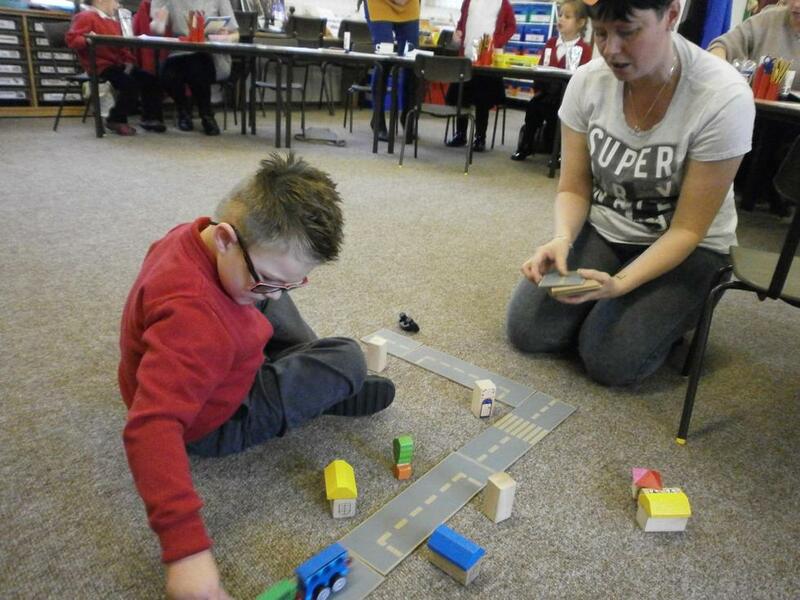 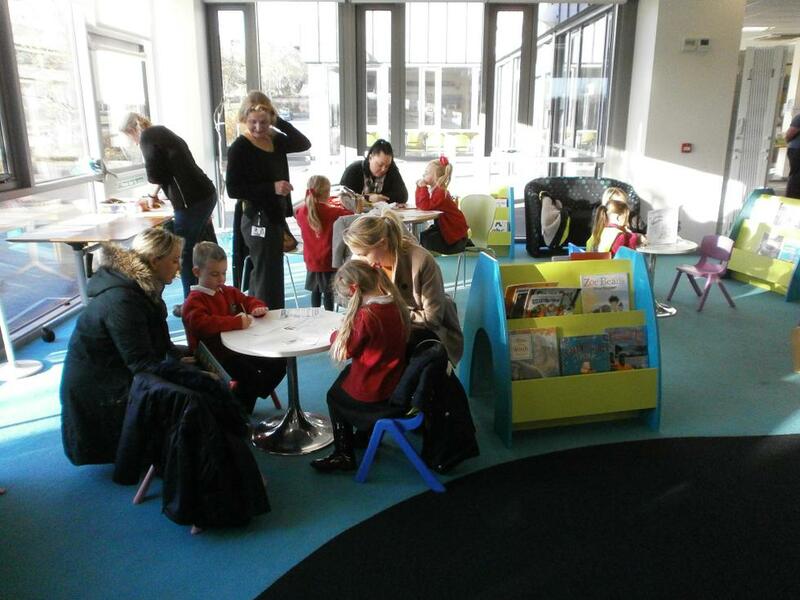 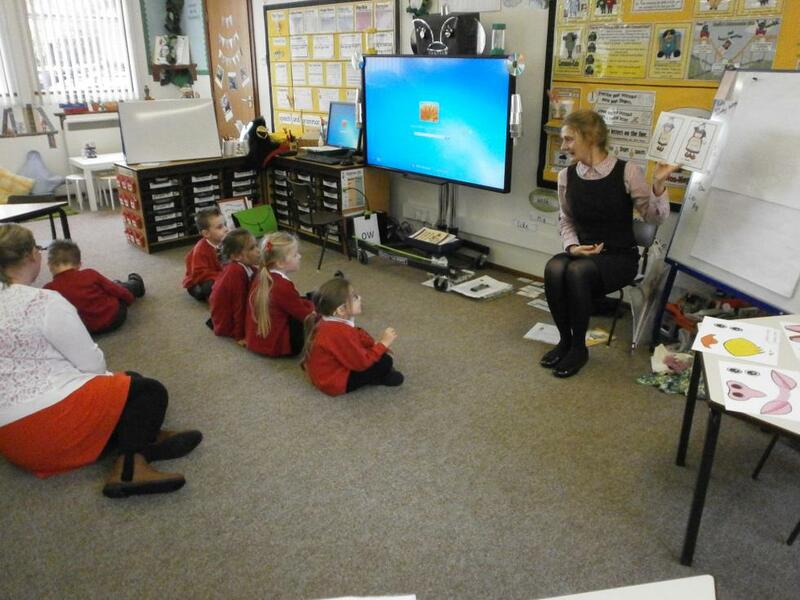 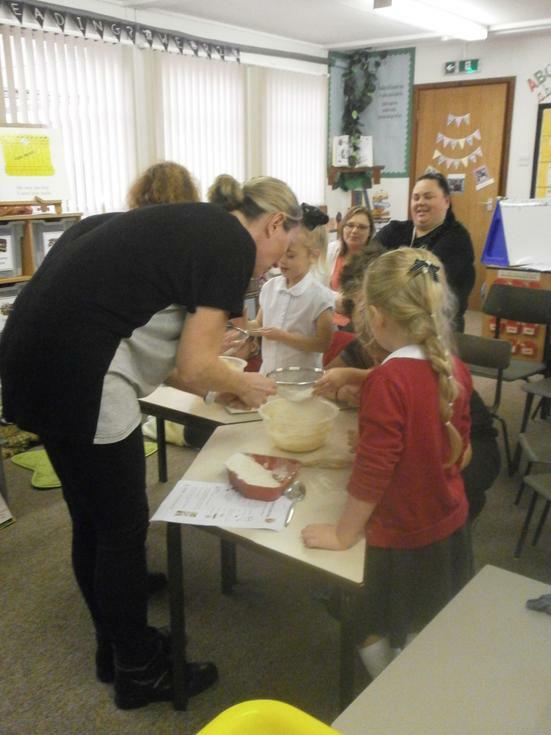 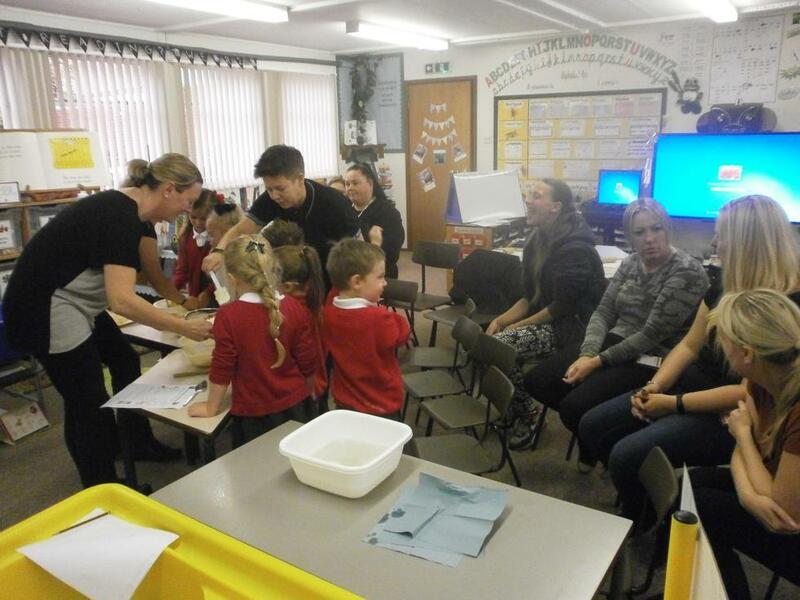 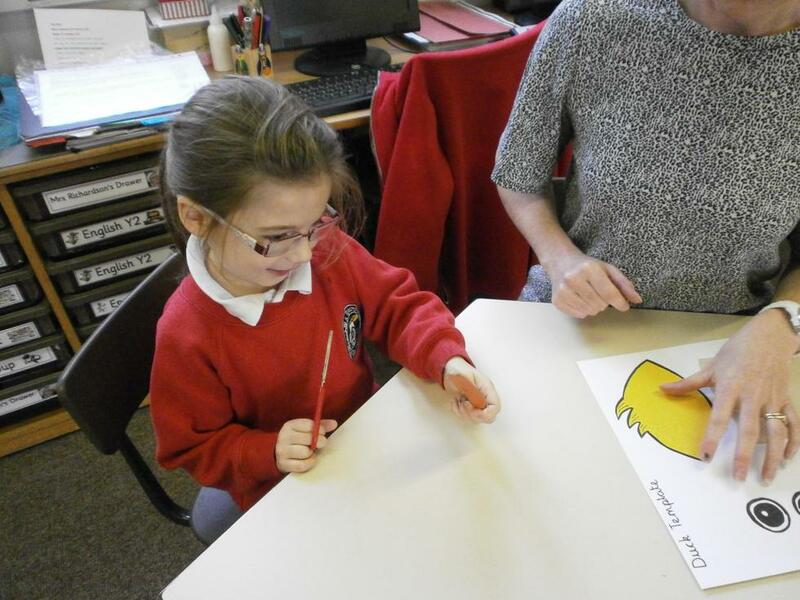 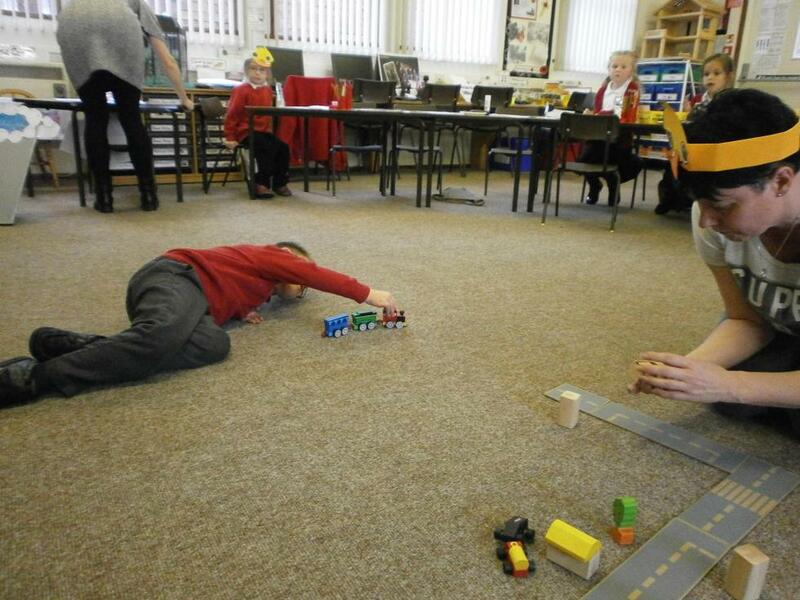 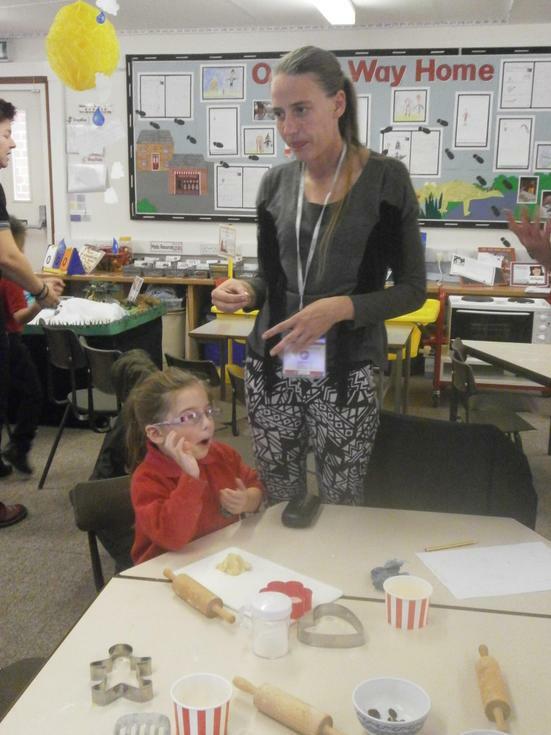 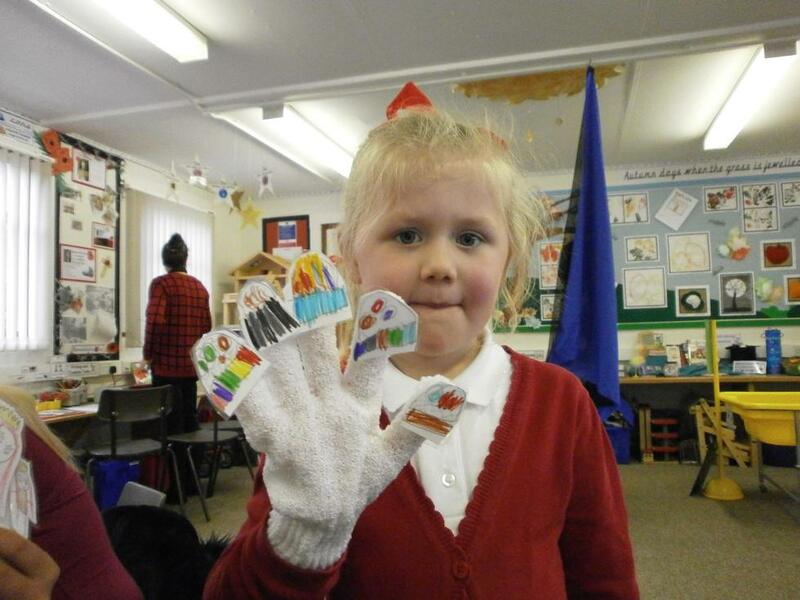 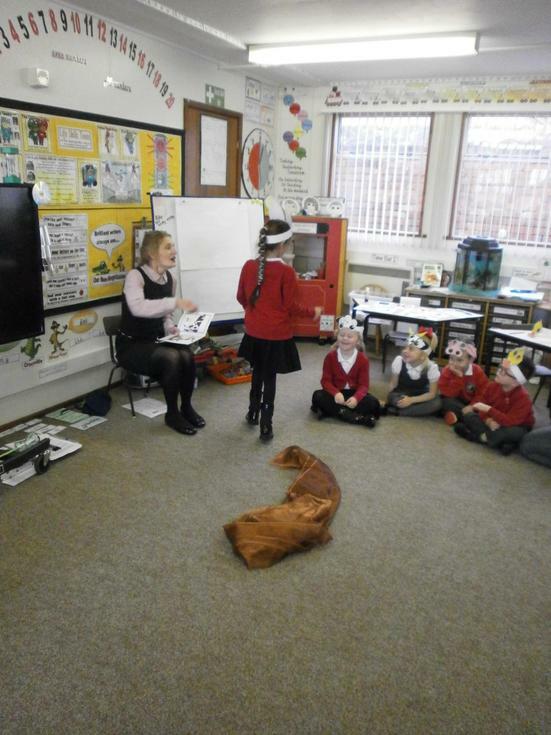 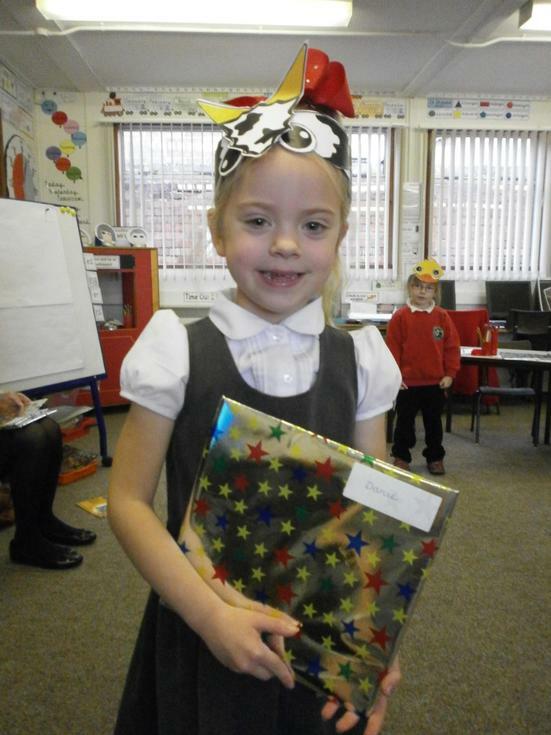 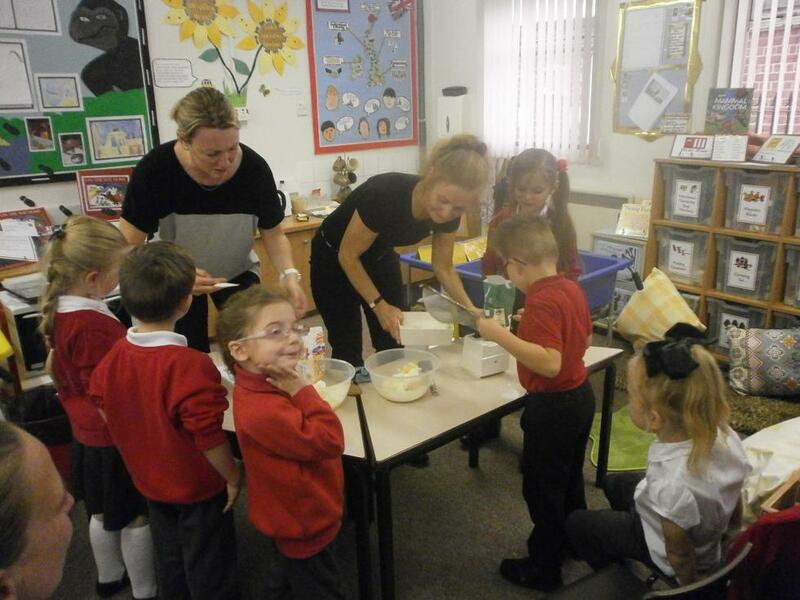 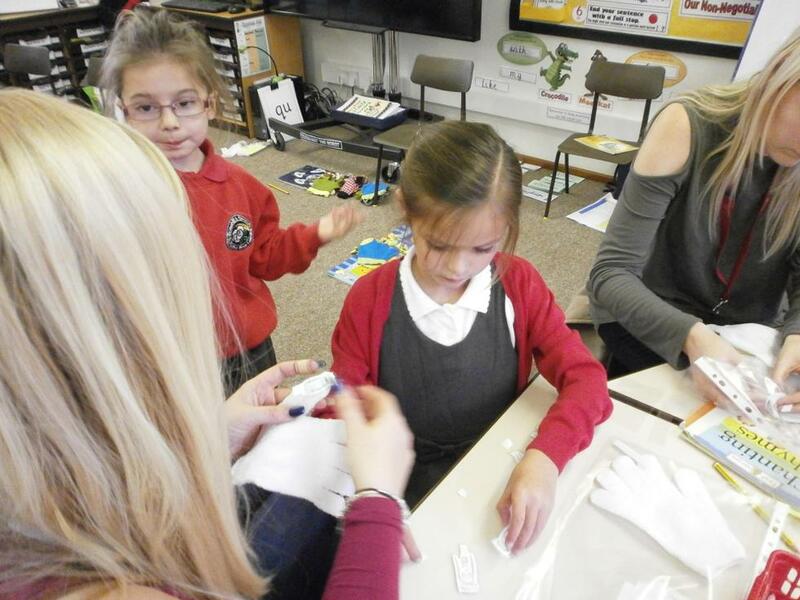 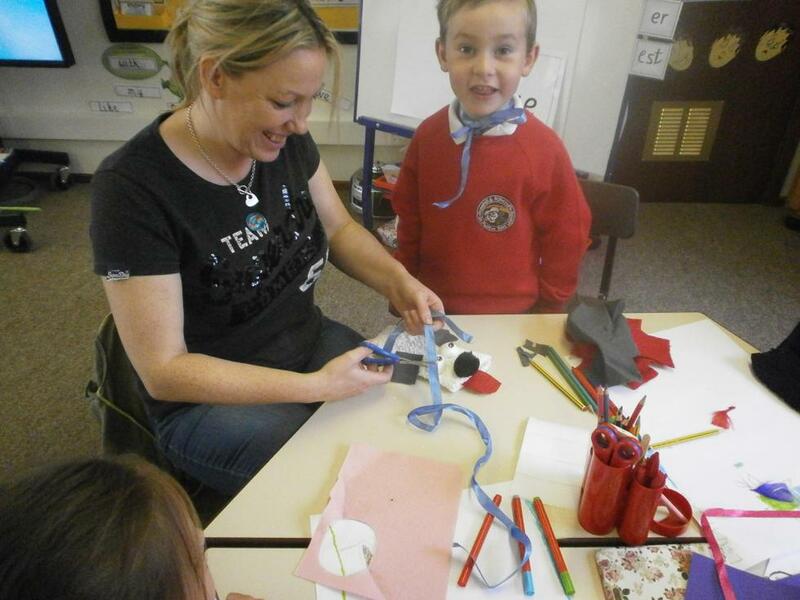 We have been running a National Literacy Trust initiative in school called The Early Words Together Programme. 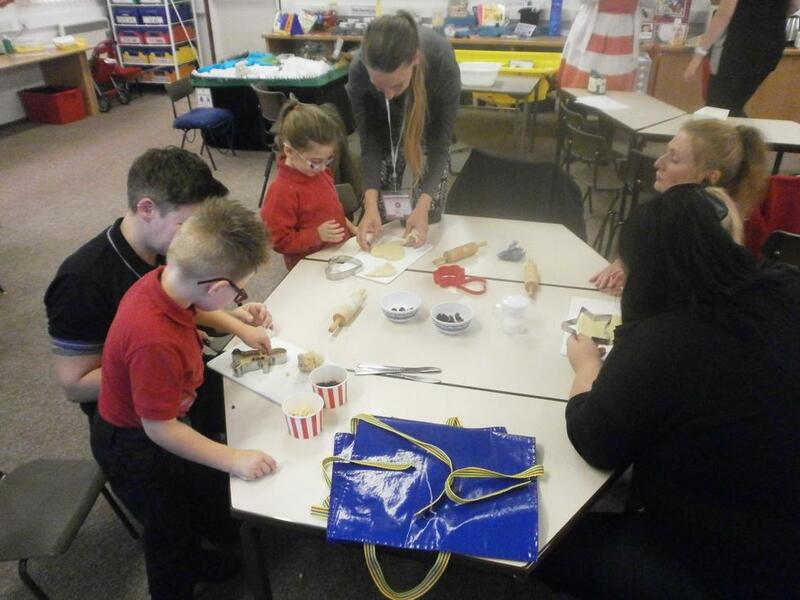 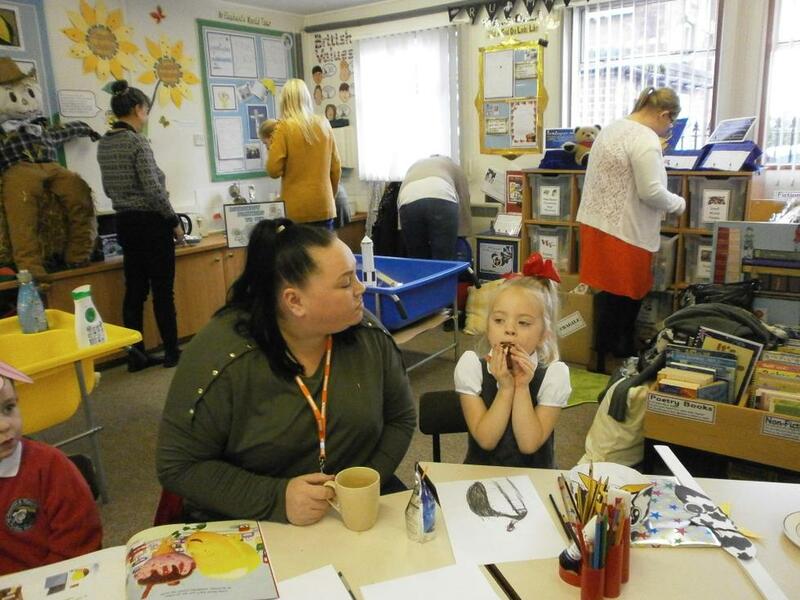 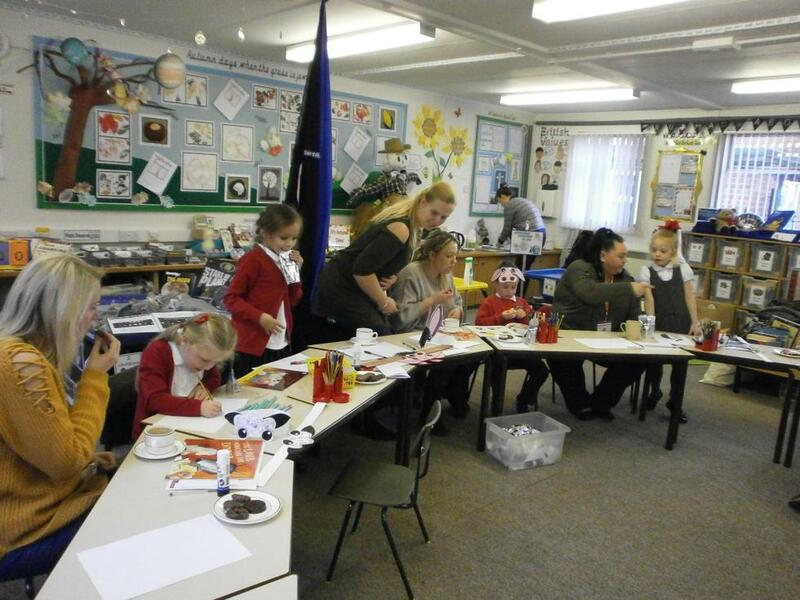 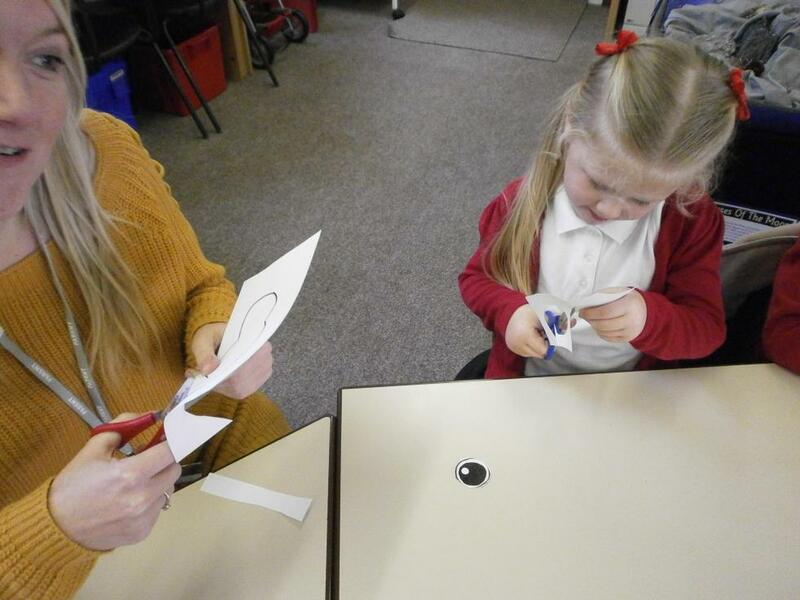 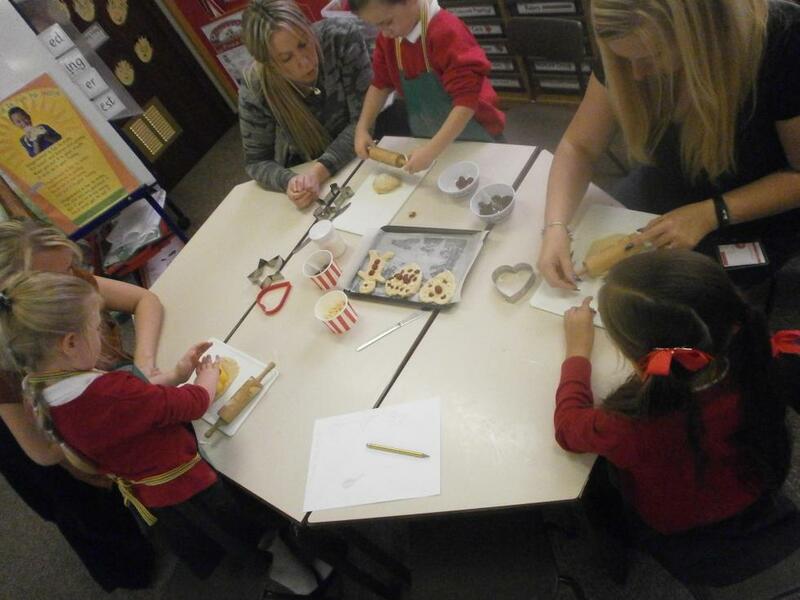 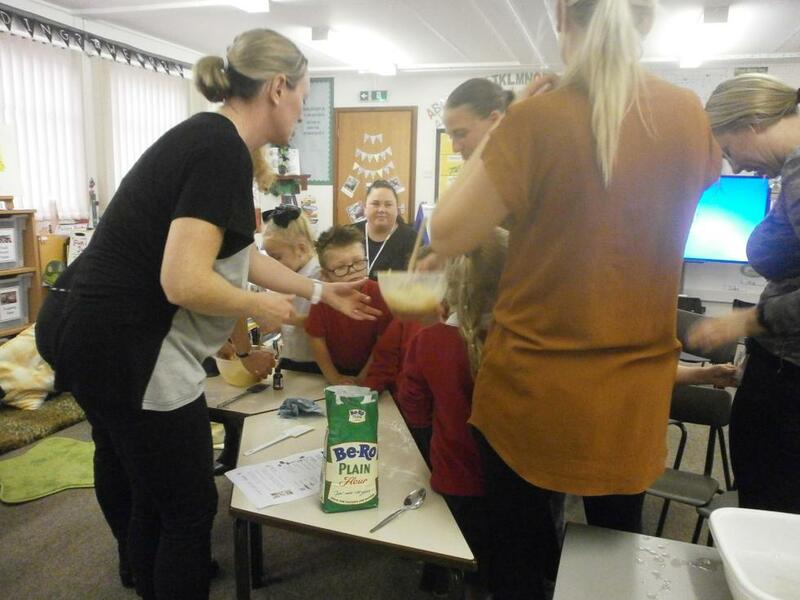 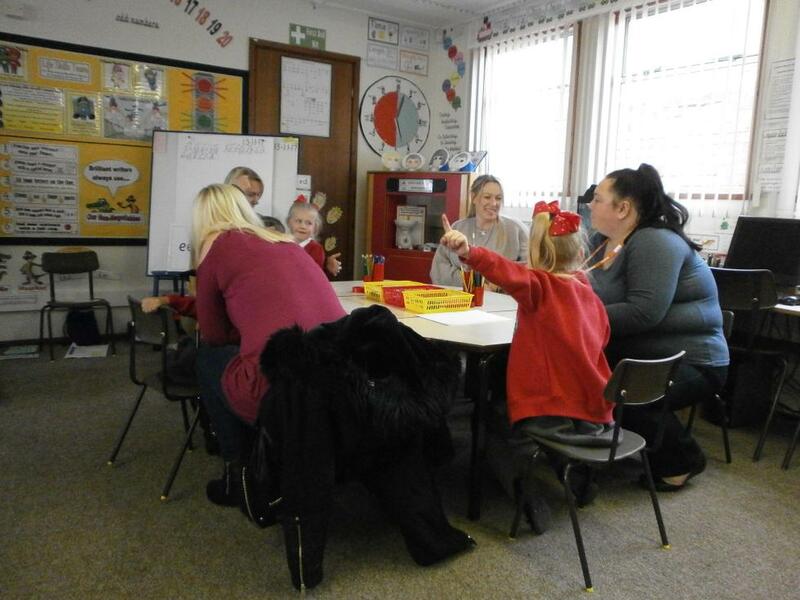 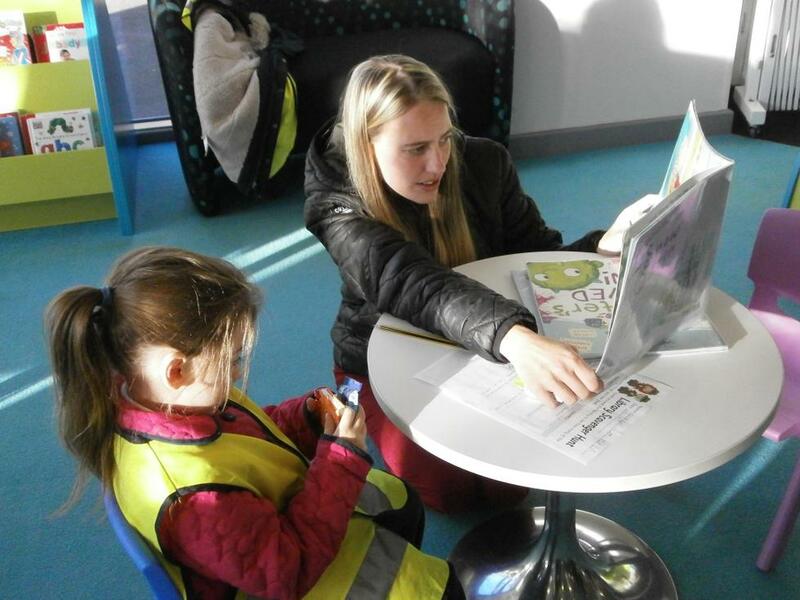 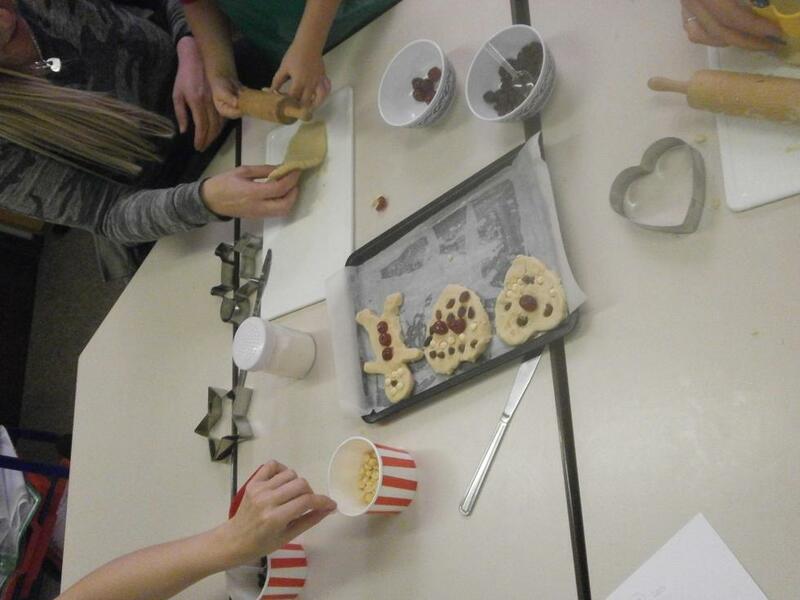 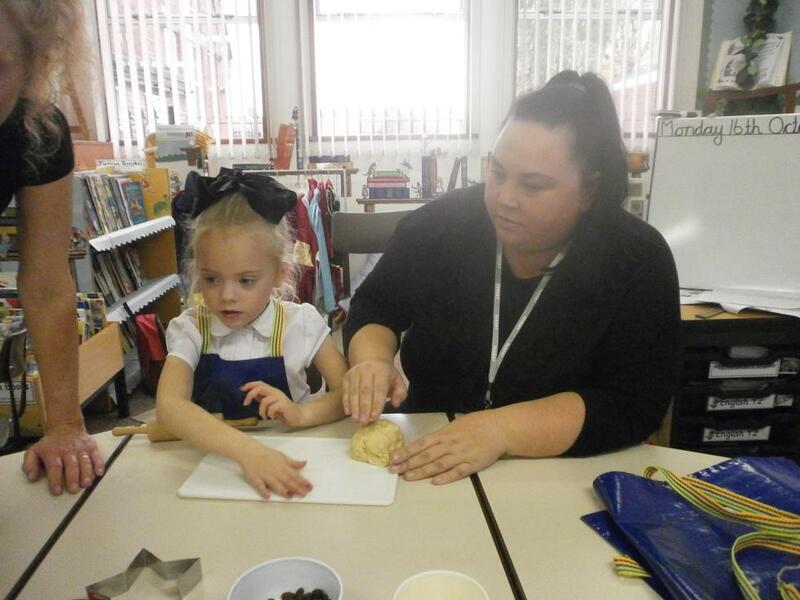 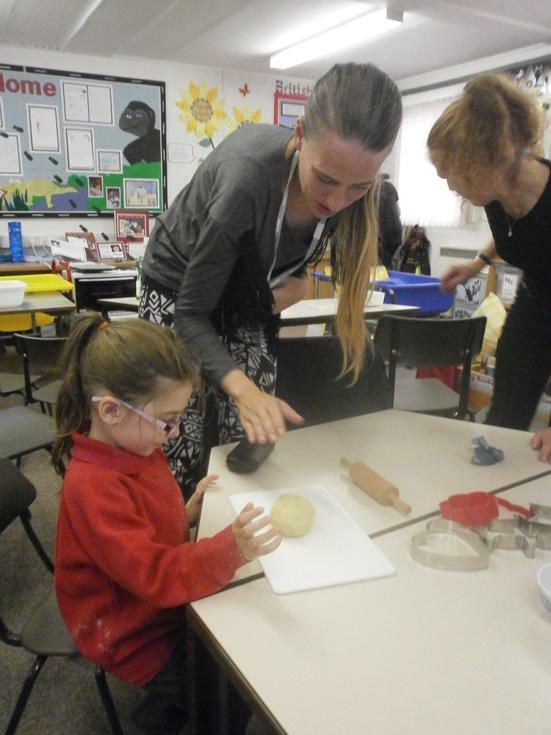 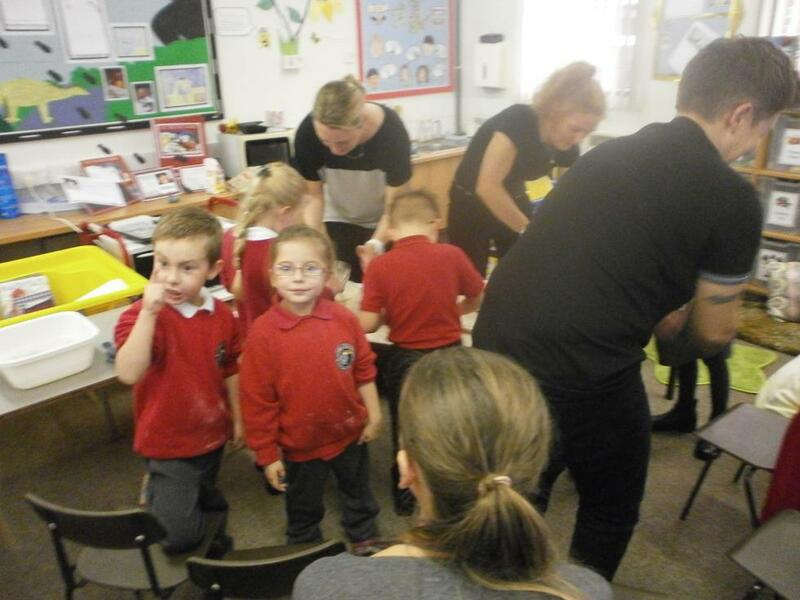 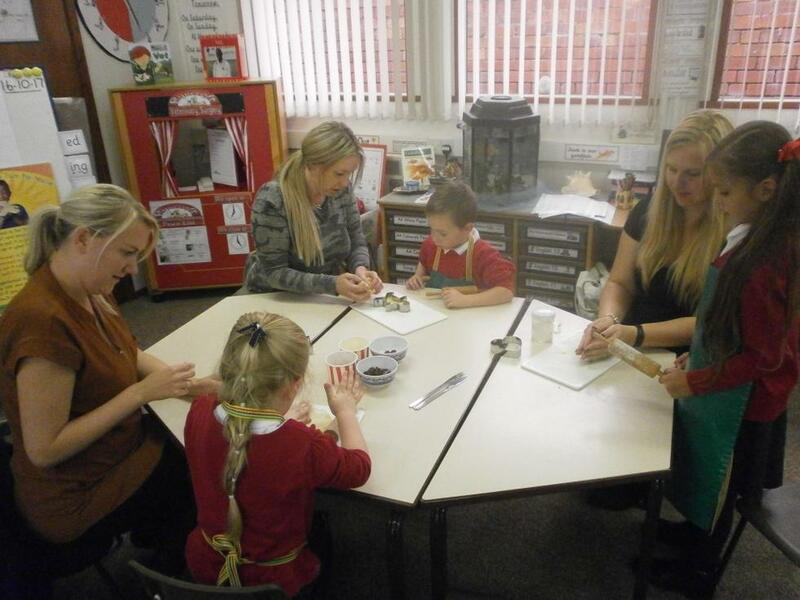 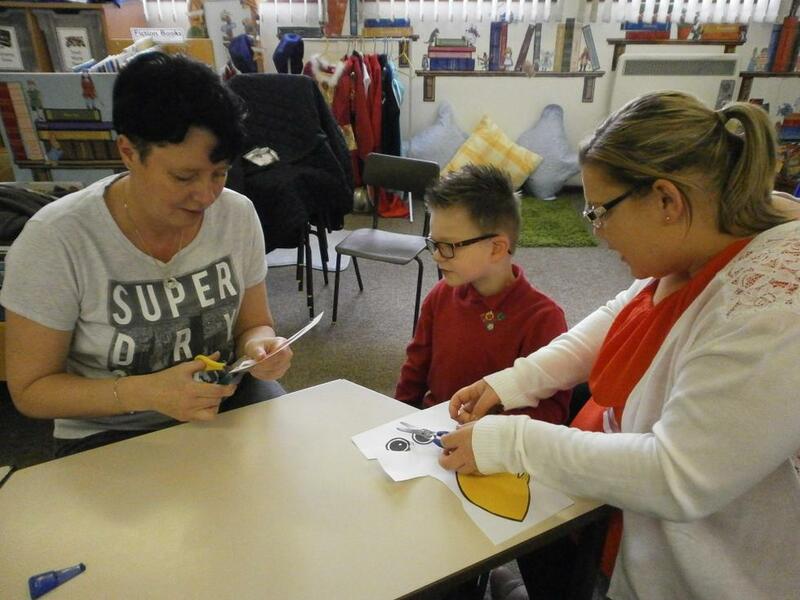 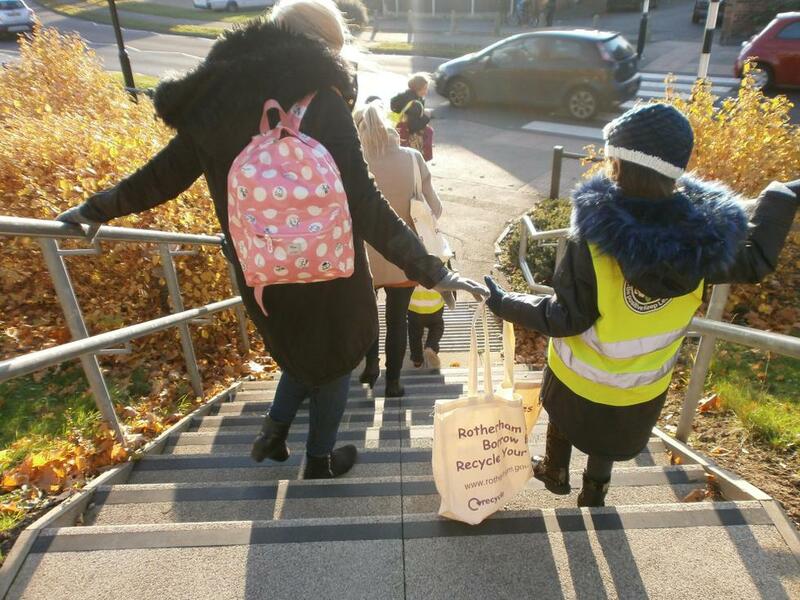 A lovely band of parents and carers have joined us on a weekly basis over a six week period to enjoy exploring stories, rhymes and creative activities with their children. 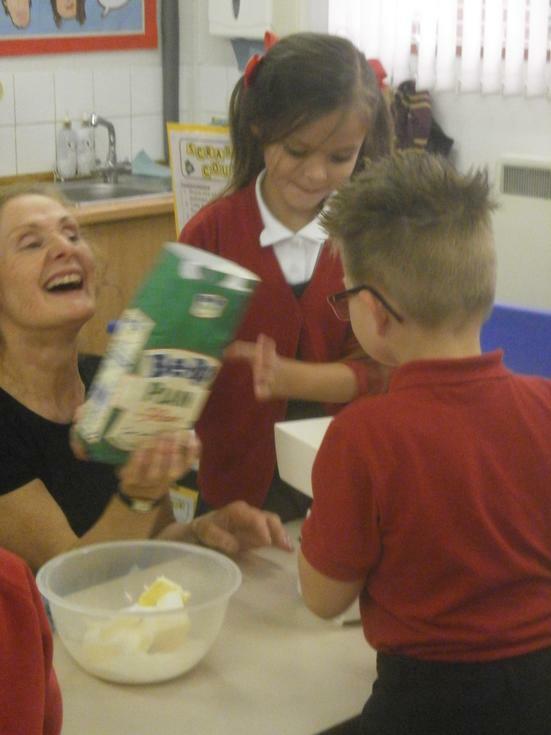 It’s been wonderful getting to know them all and discovering their hidden talents – we can see where their children get them from! 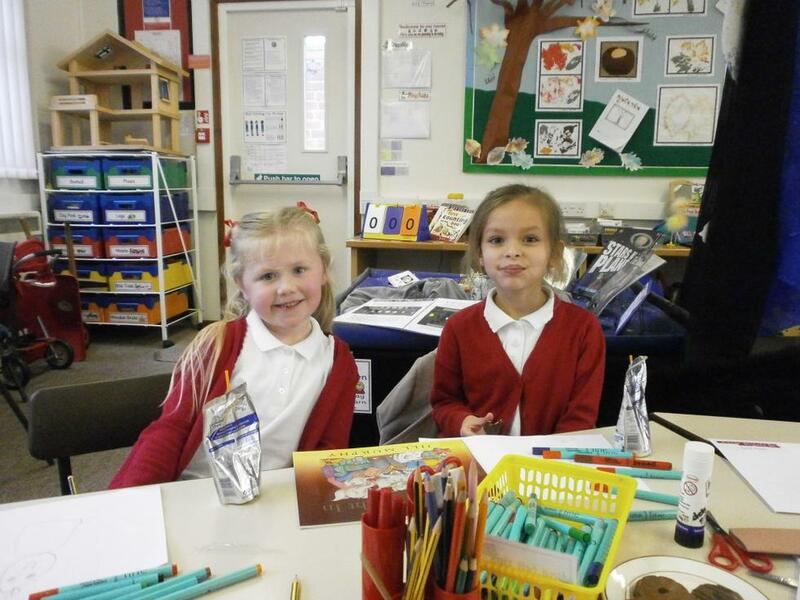 Here’s what they’ve been up to! 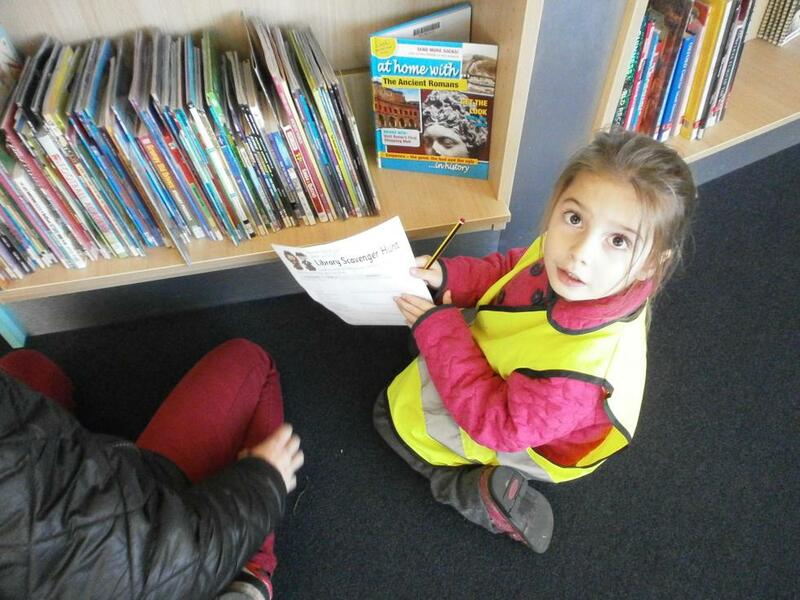 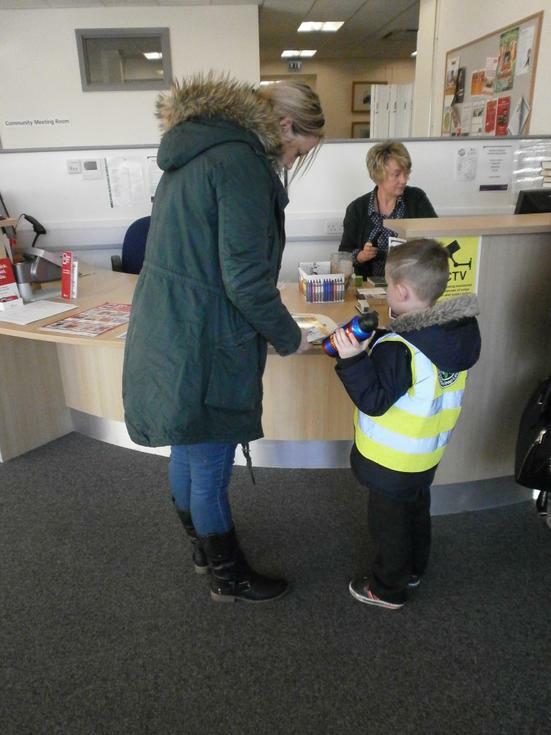 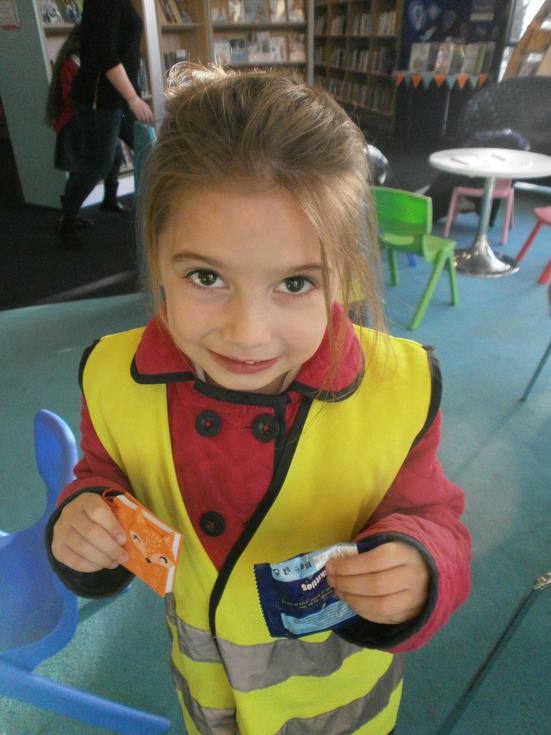 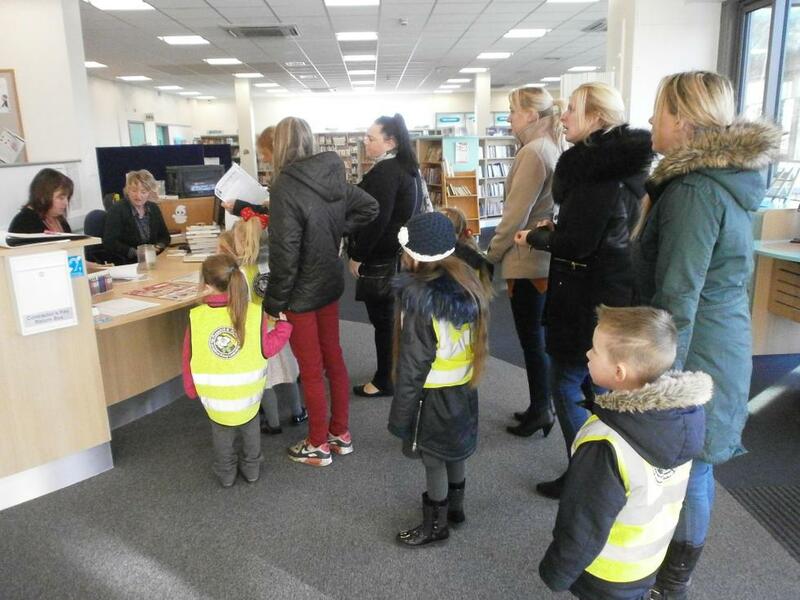 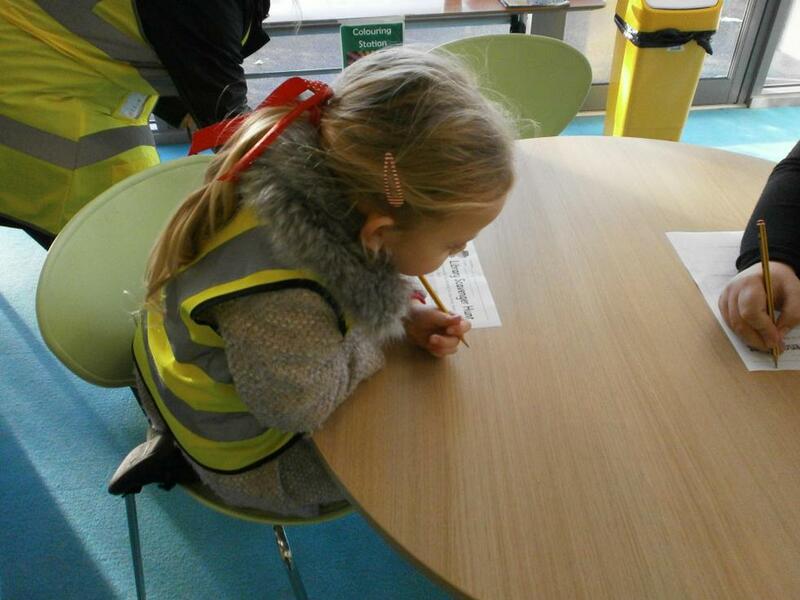 Visiting the local library - joining the library and exploring the facilities there. 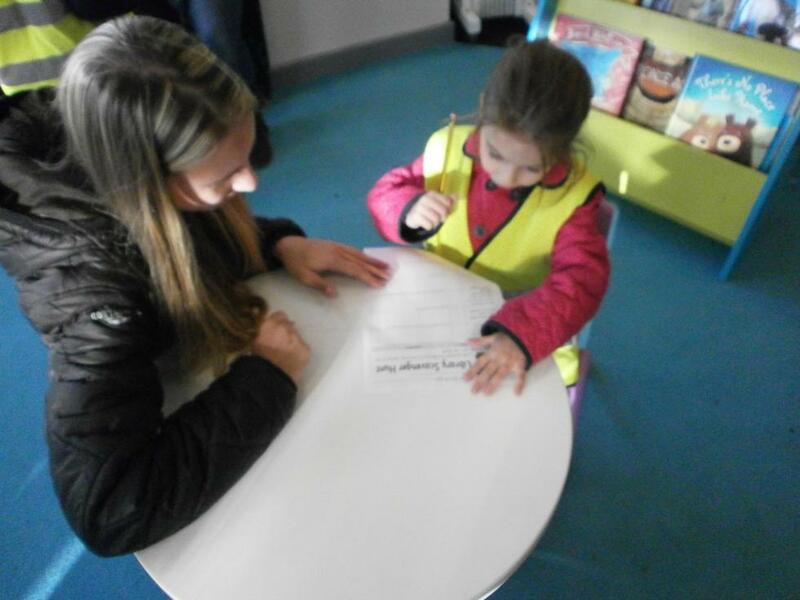 Enjoying a library scavenger hunt to win a prize. 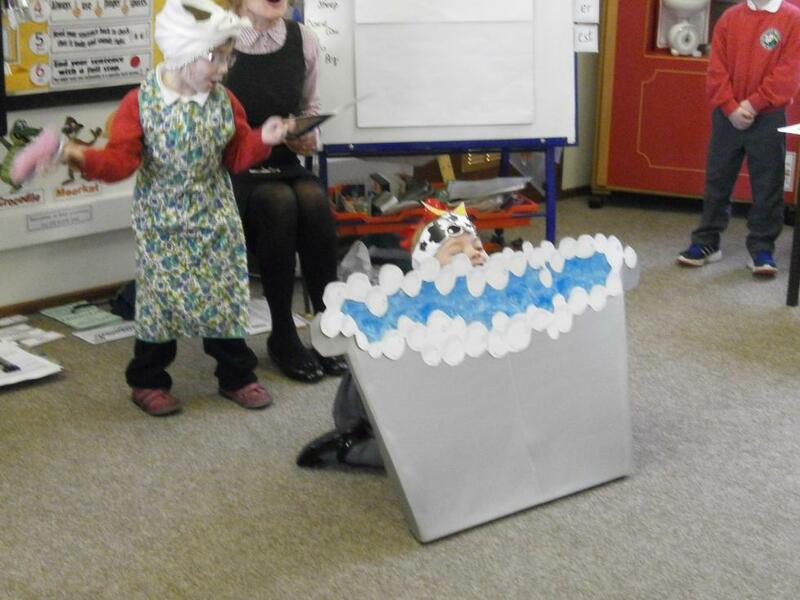 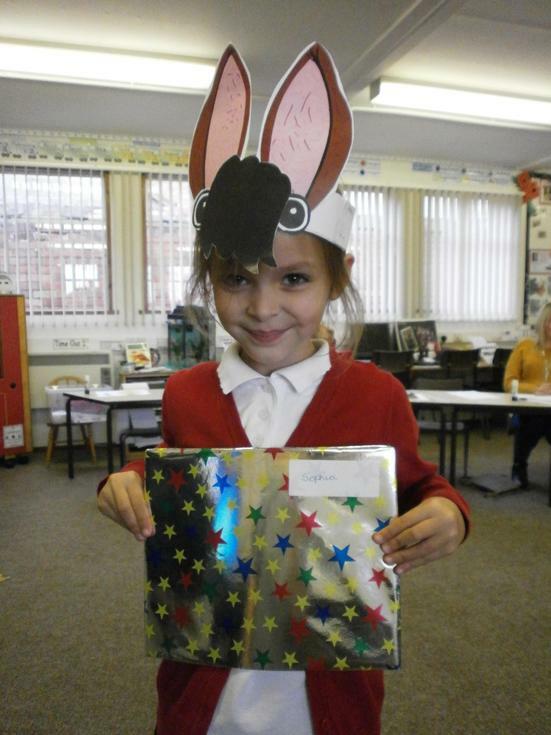 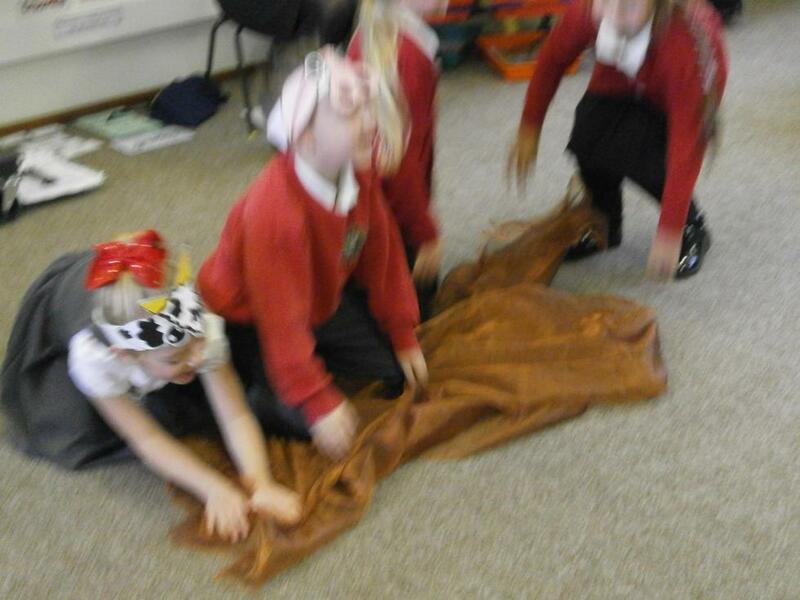 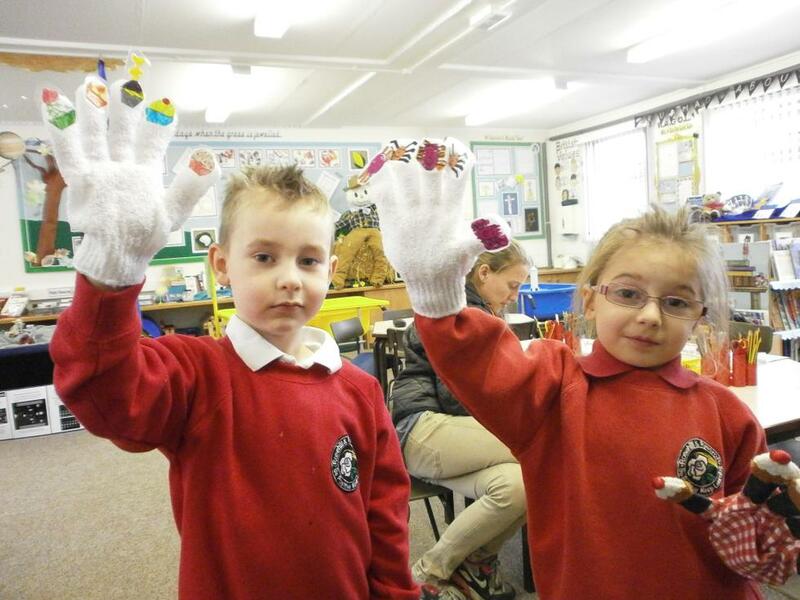 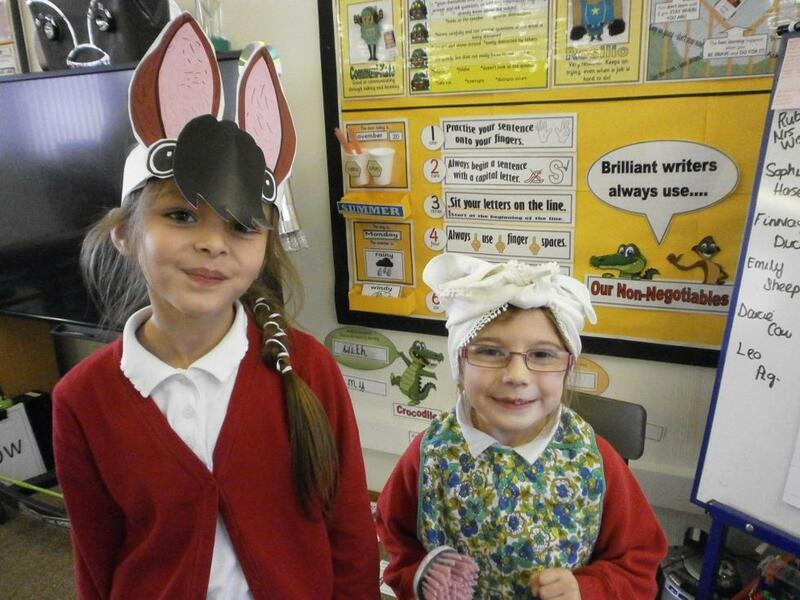 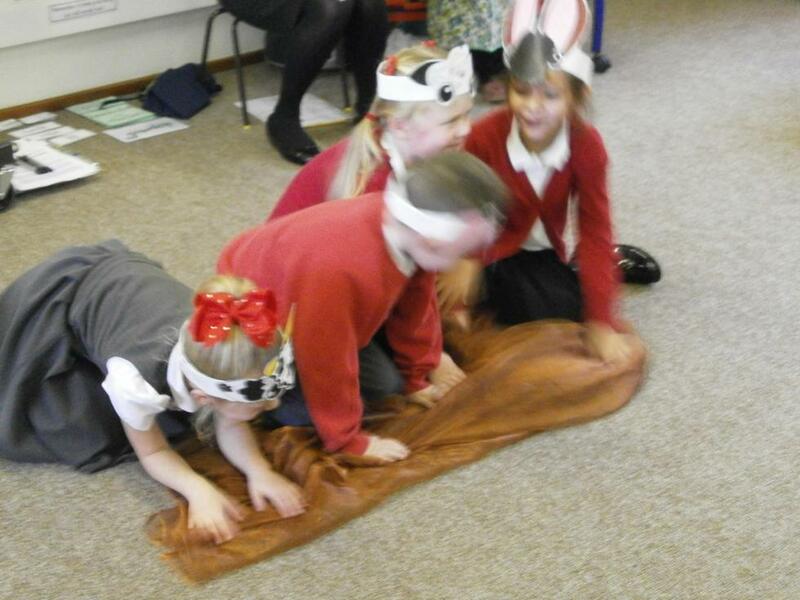 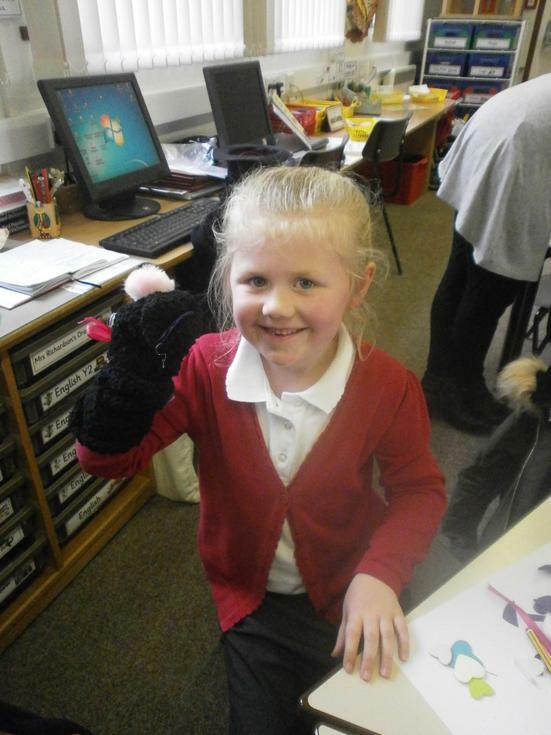 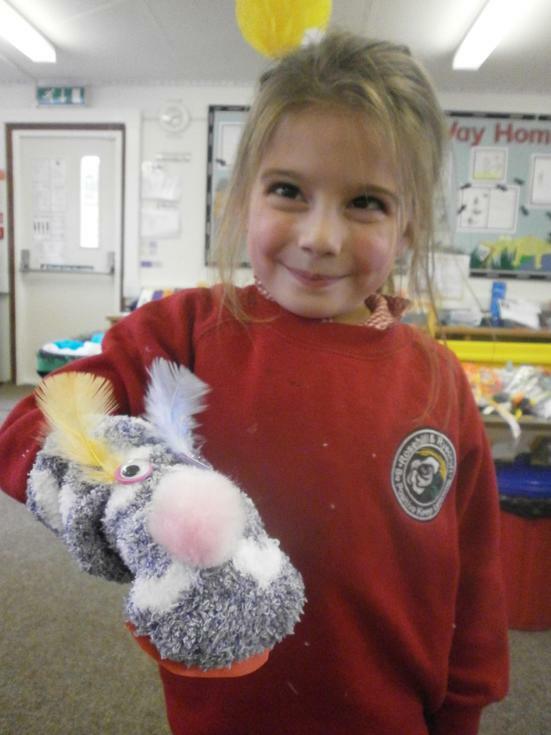 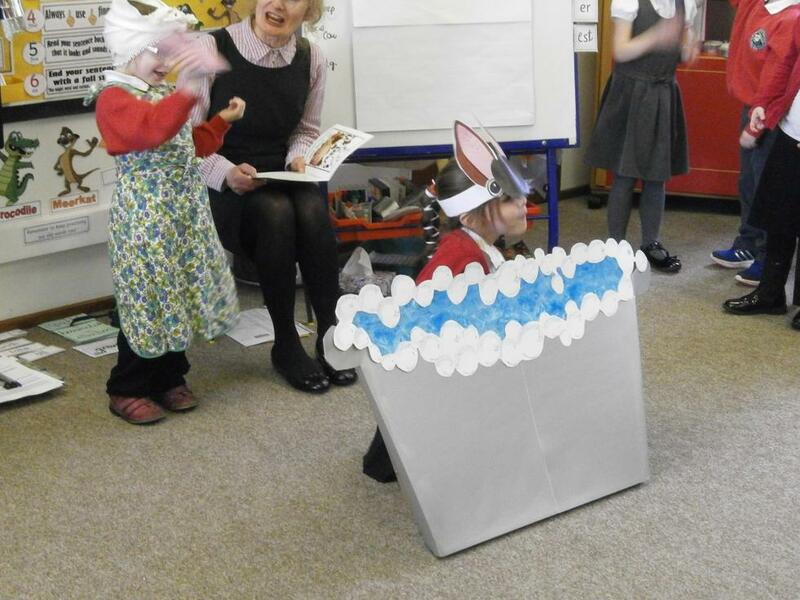 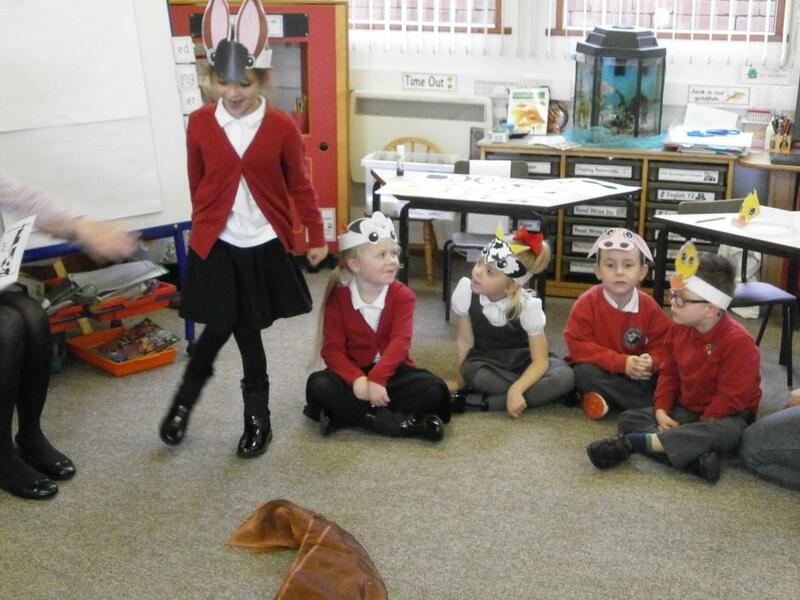 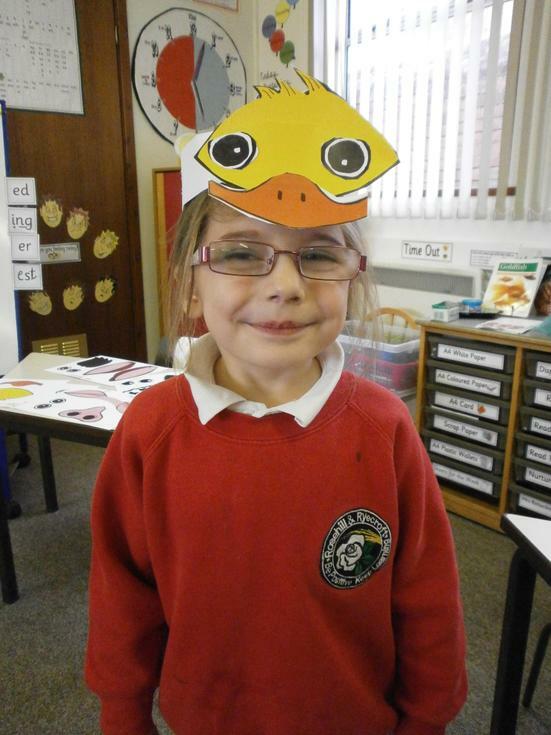 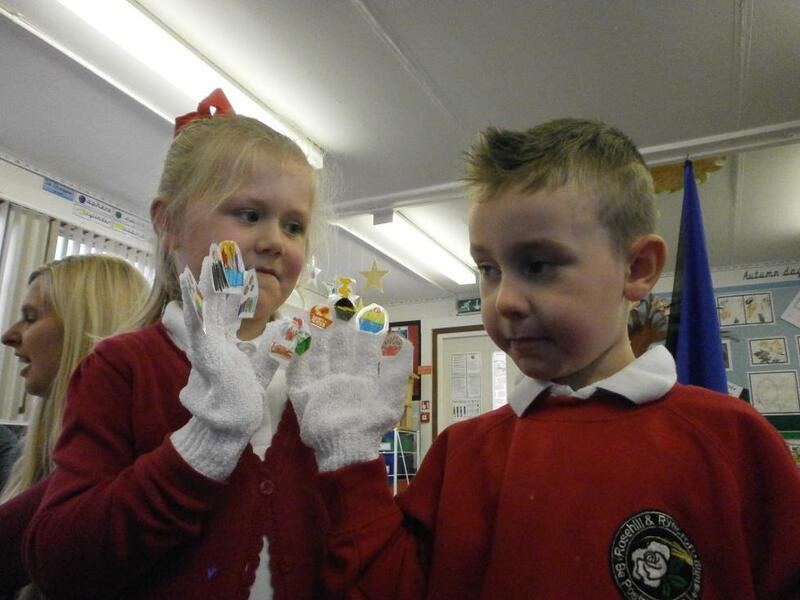 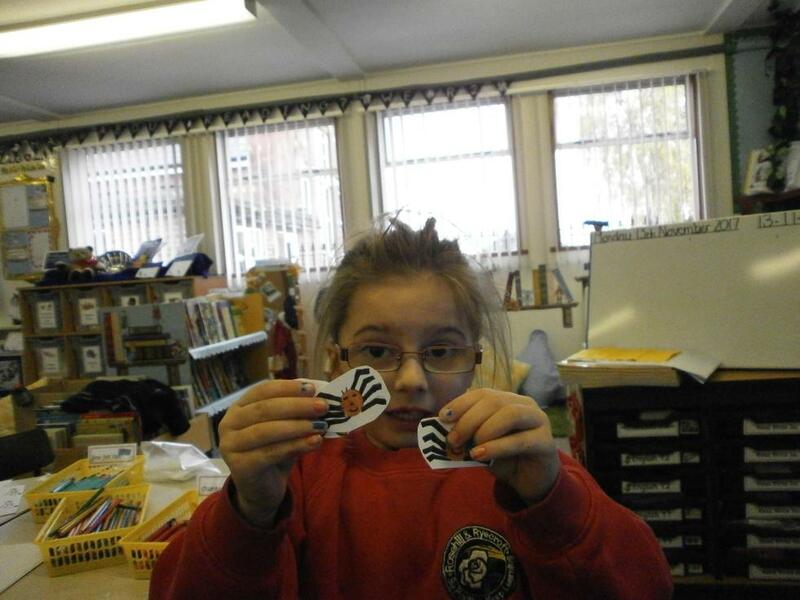 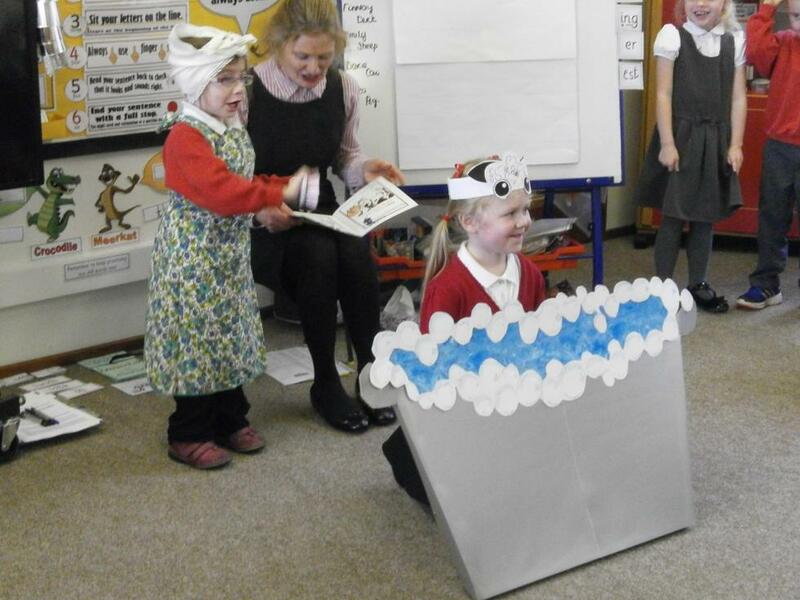 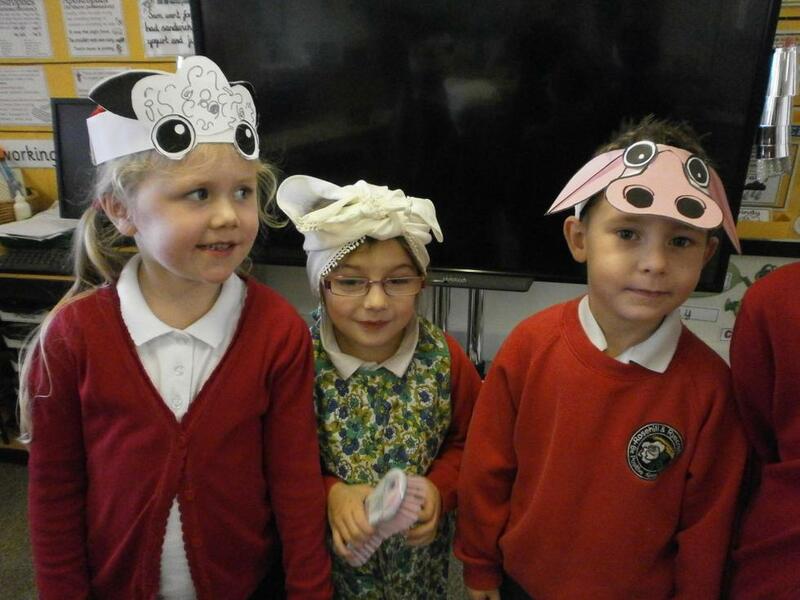 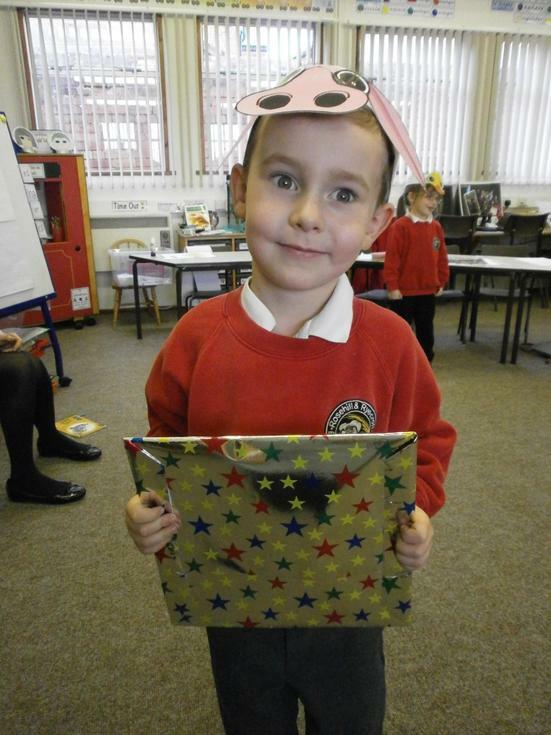 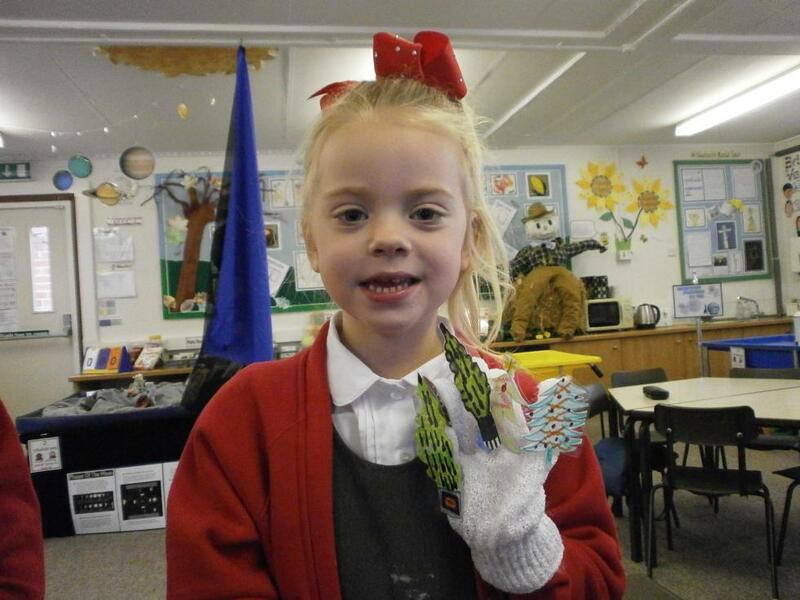 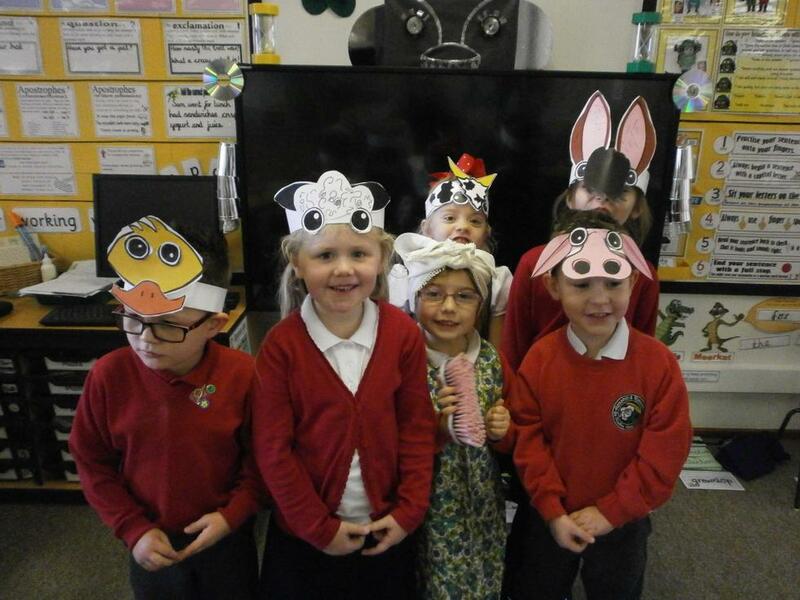 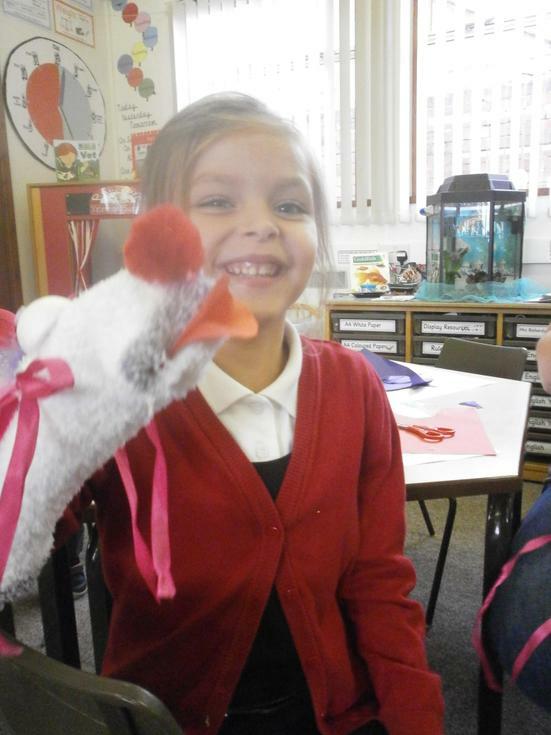 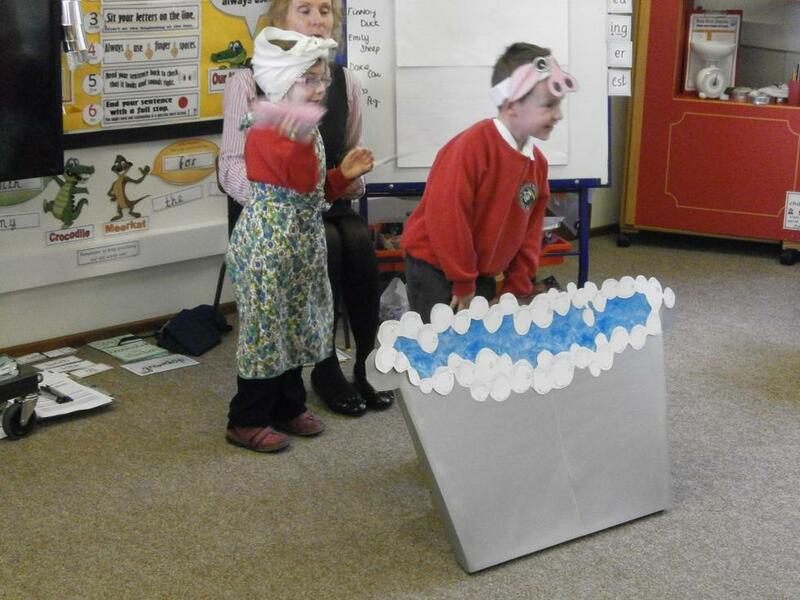 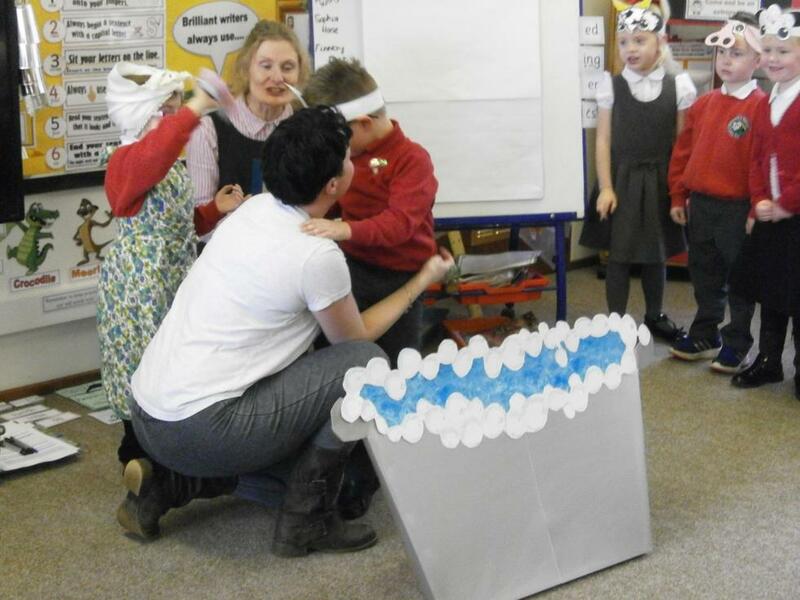 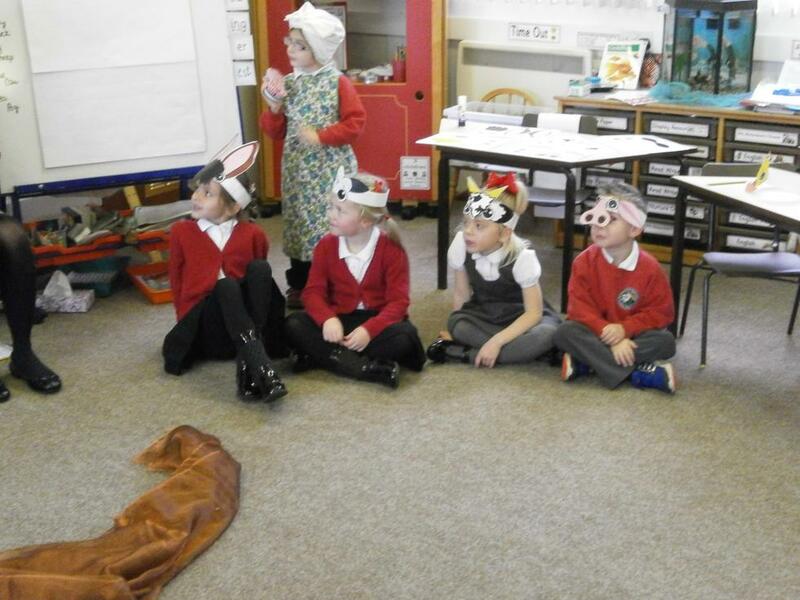 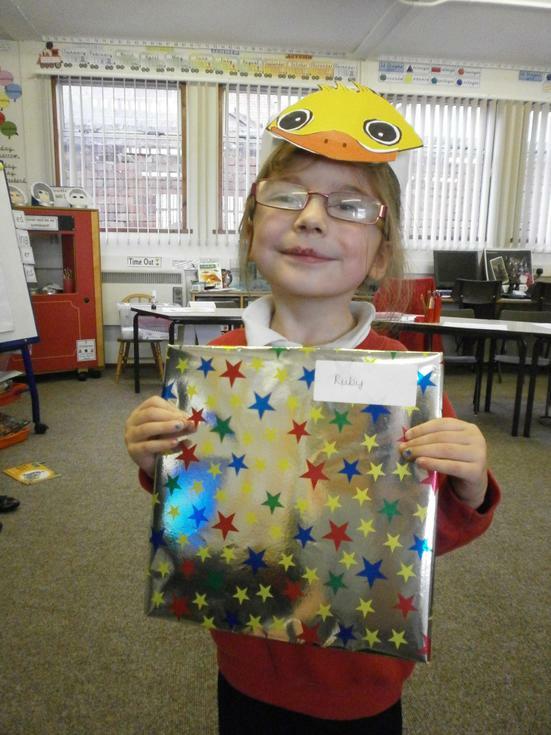 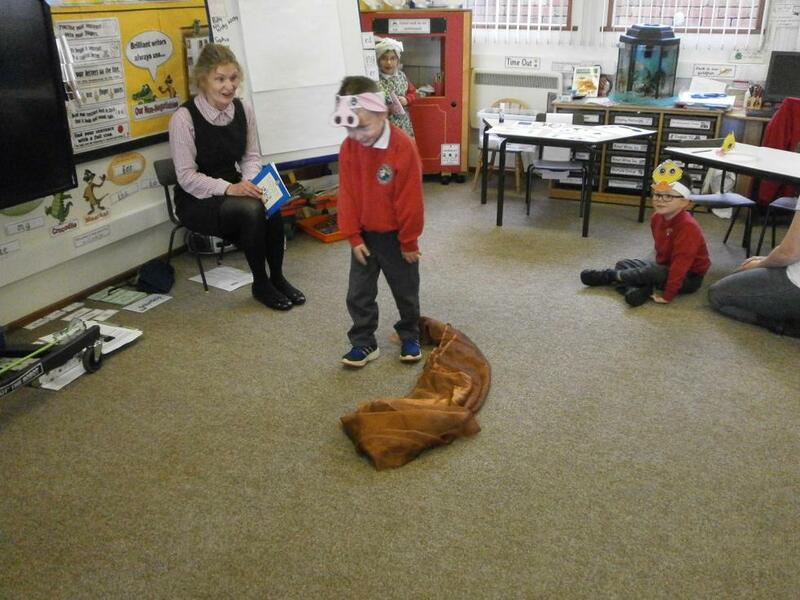 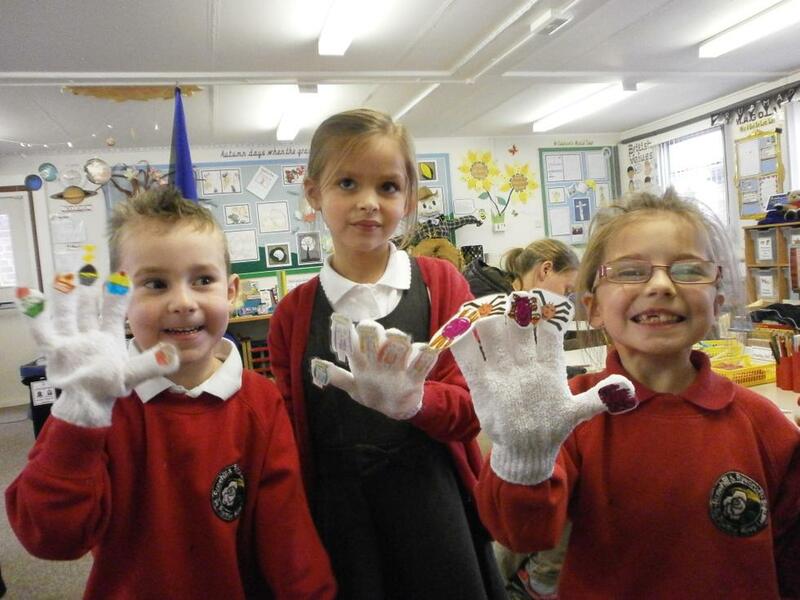 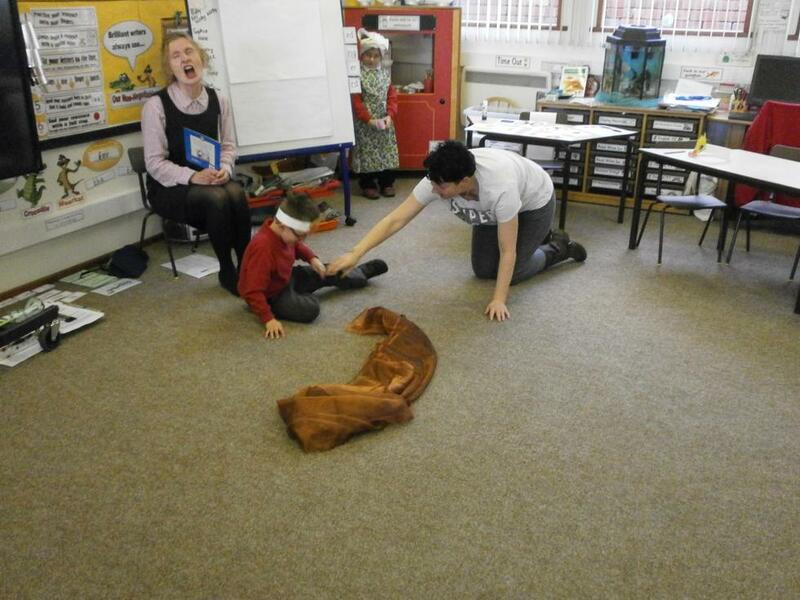 ‘Jump into the Picture!’ – Enjoying drama to bring alive a fun story using hand-made props! 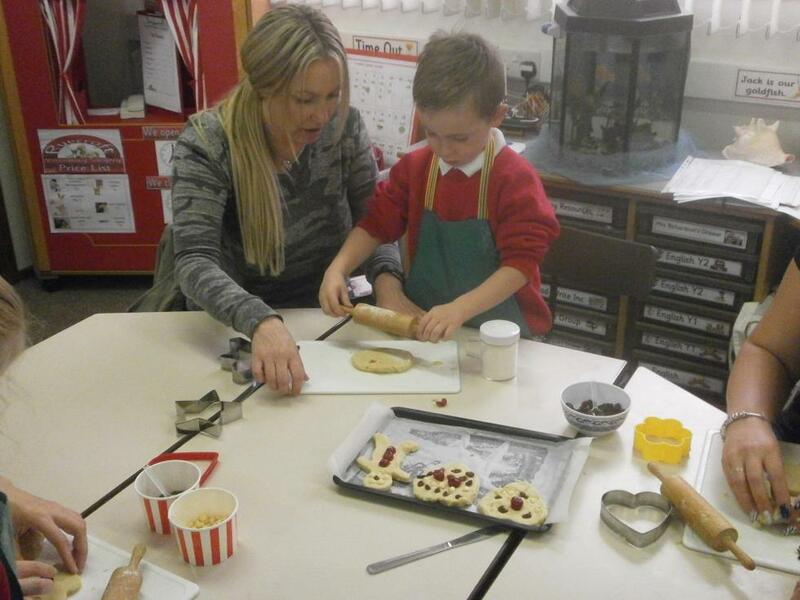 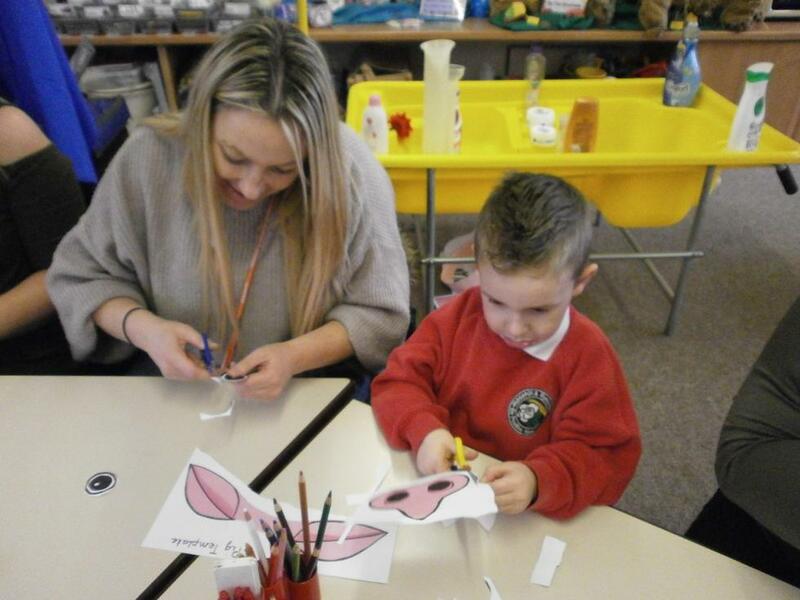 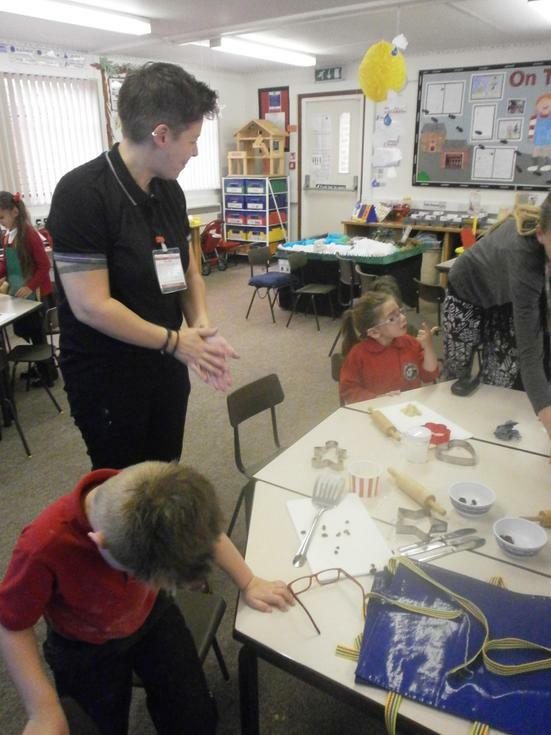 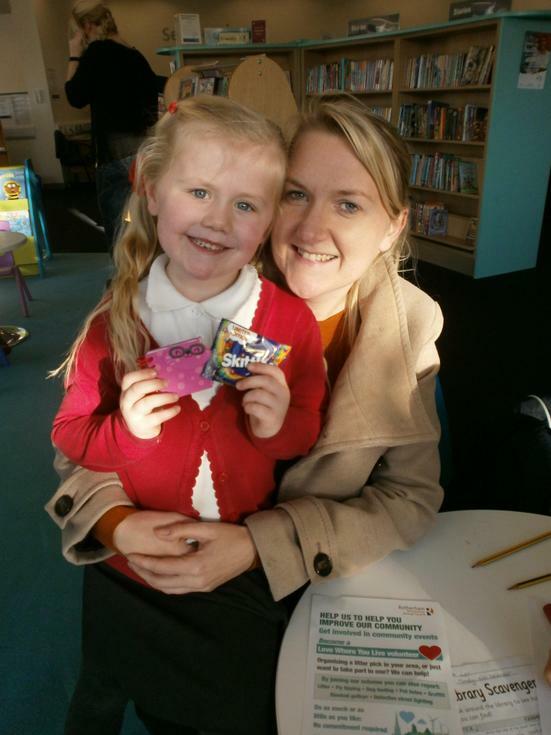 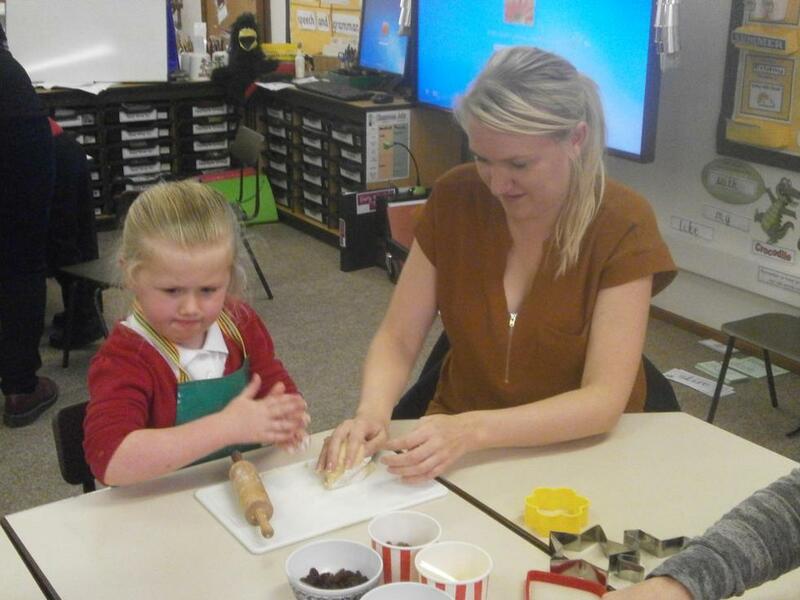 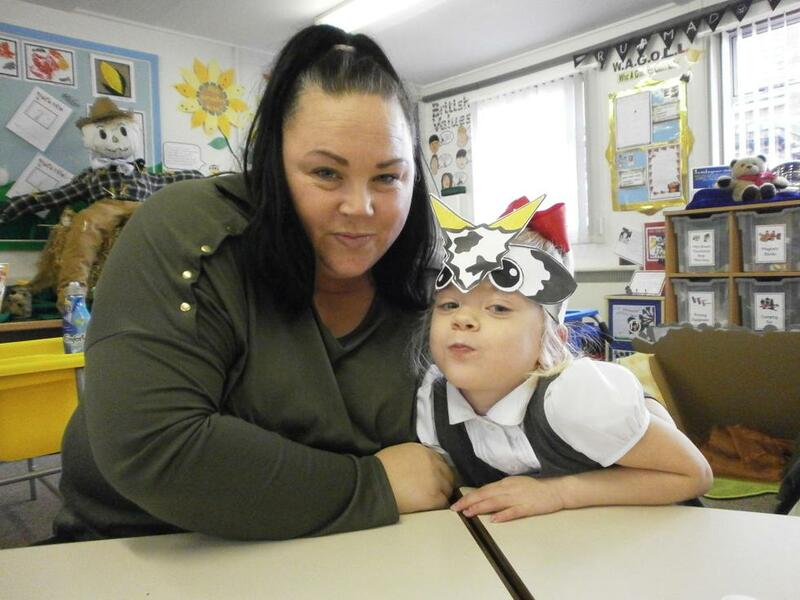 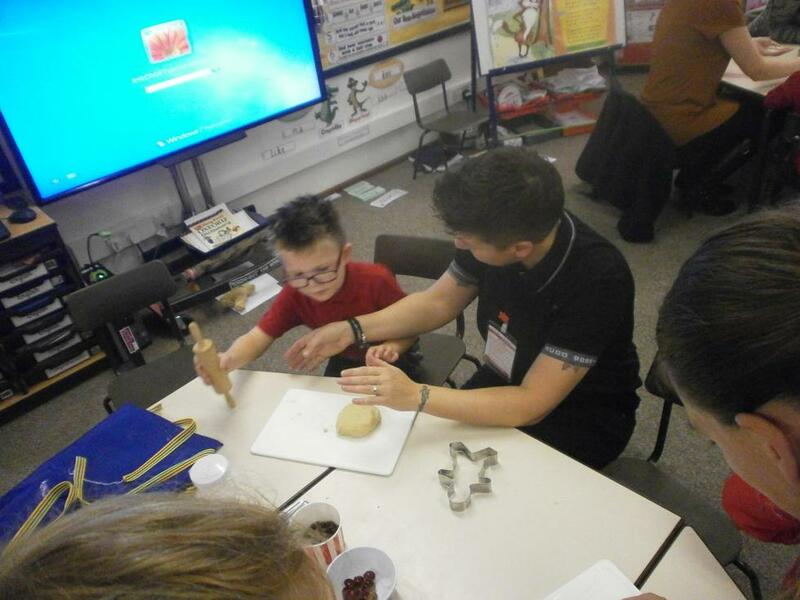 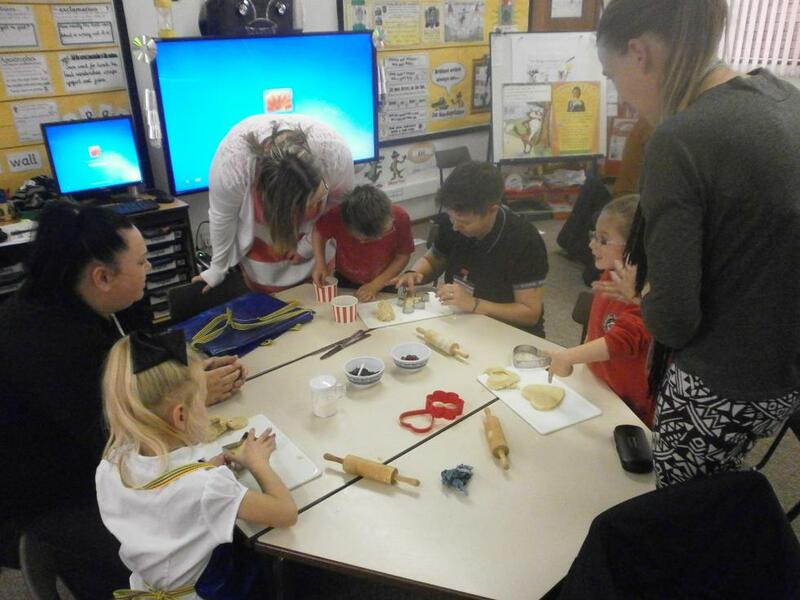 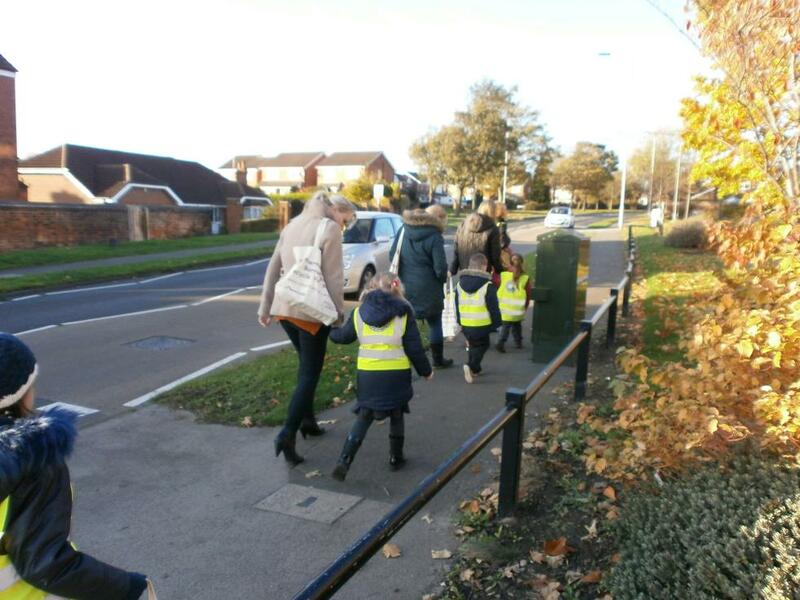 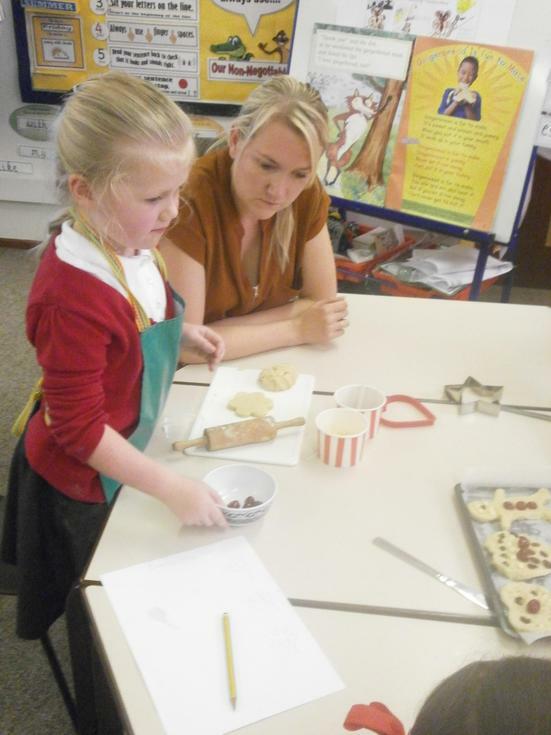 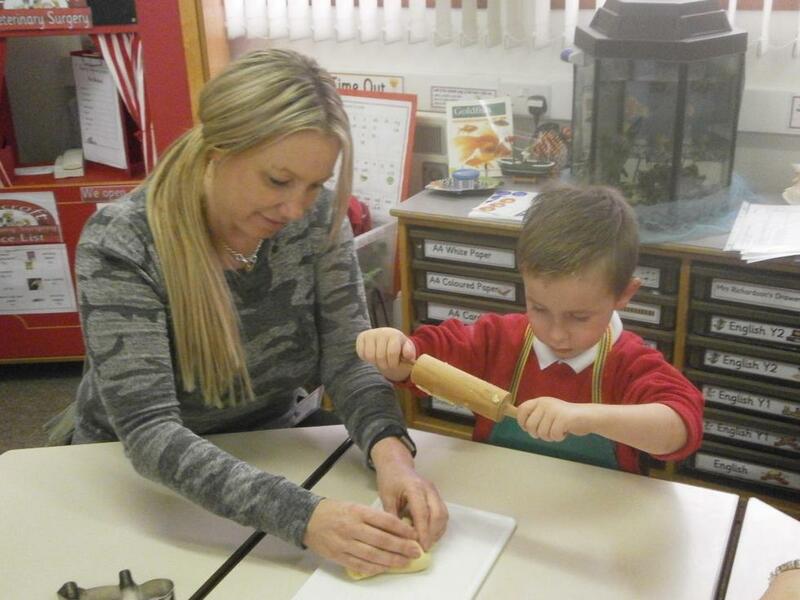 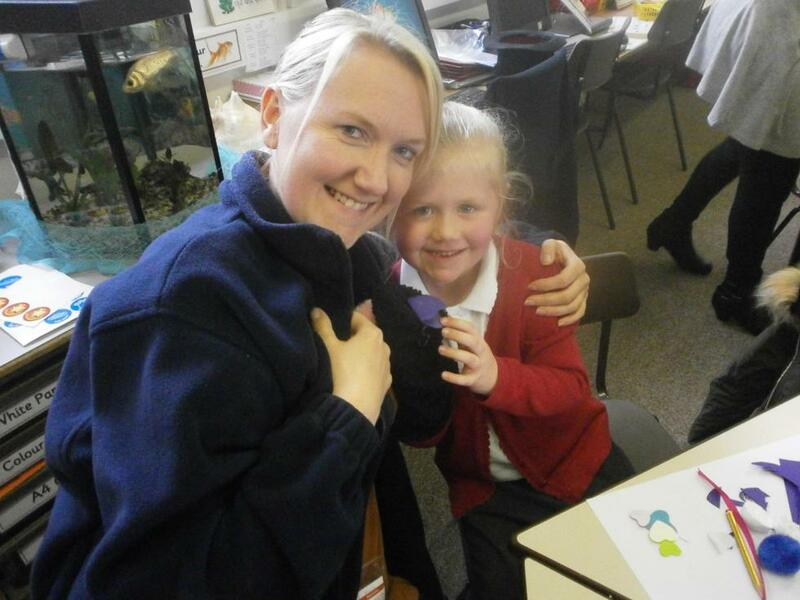 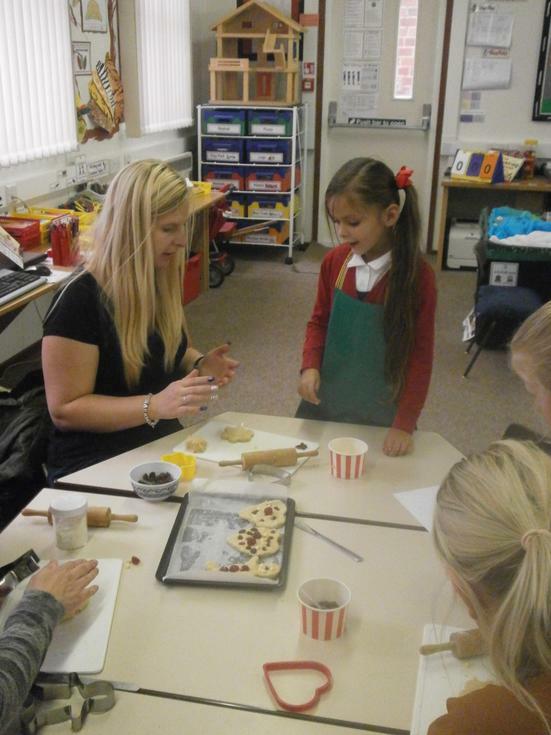 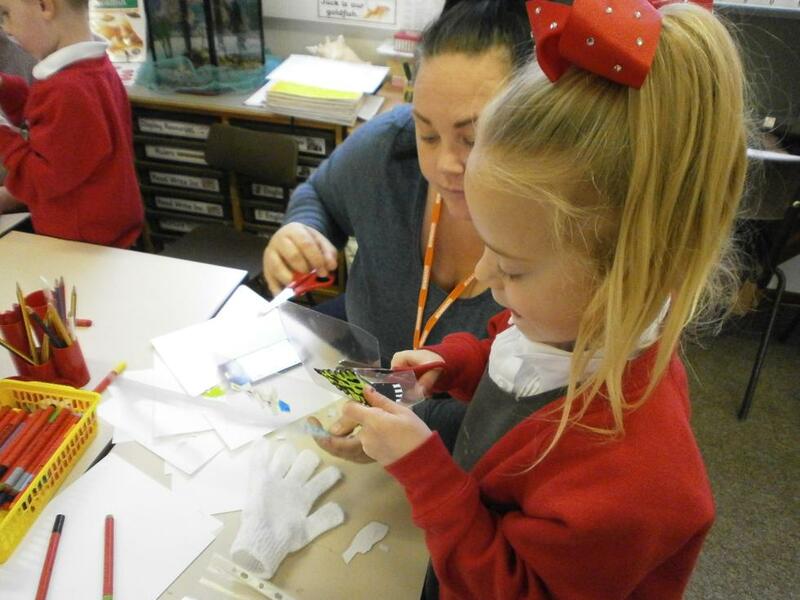 If your child is currently in Foundation Stage 2 and you would like to take part in the next programme, please feel free to have a word with Mrs Sinclair – we’d love to see you!